With the wind a little high for a paddle on the coast, I decided to get the sail out on the local river where it opens up to a good sized lake. I set the Sail up on my viking, and was looking at getting some fair speed in this BF 4 wind. All was going well when without any warning the mast snapped. Its clear to see that the mast has snapped where the saddle clamp has been riveted, drilling the 1.5mm wall thickness has caused considerable weakness. I believe the mast assembly cost around 70 Euros, I decided to source a length of tube to replace the broken section, but to increase the wall thickness. I picked up a length from my local Metal suppliers for the modest sum of 3.60€. I mounted the saddle using 4mm screws, and screwed in a Stop screw at the upper end. The mast foot is now ready for the Folding Kayak, so in the days to come when the wind is right I’ll try the mast on the folding kayak. Thailand is a remarkable destination for kayakers, the obvious sunshine and warm waters look wonderful, the tropic islands with coconut trees look idyllic, then add some amazing culture and delicious food, compared with the February weather in France and I started planning in ernest. 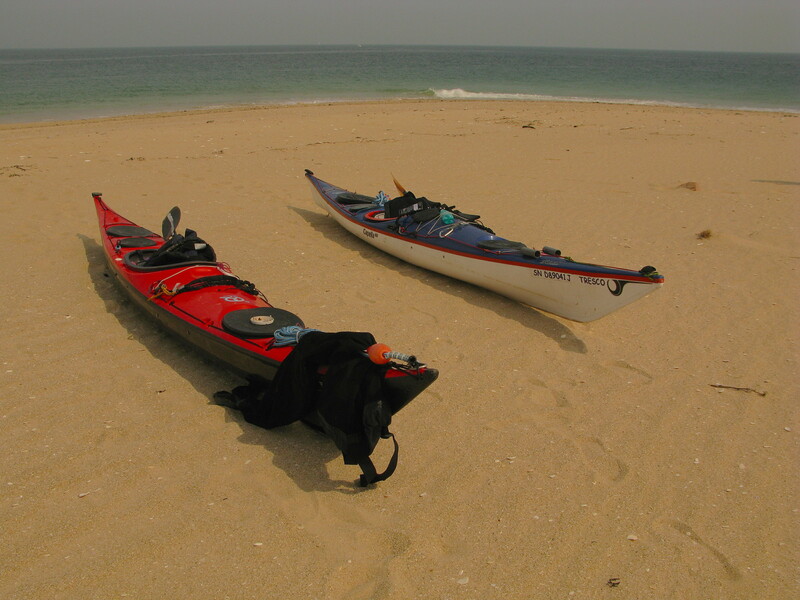 The first major issue to resolve was sourcing a kayak, I soon exhausted any prospect of hiring a closed cockpit Sea Kayak in Thailand that I could use autonomously. 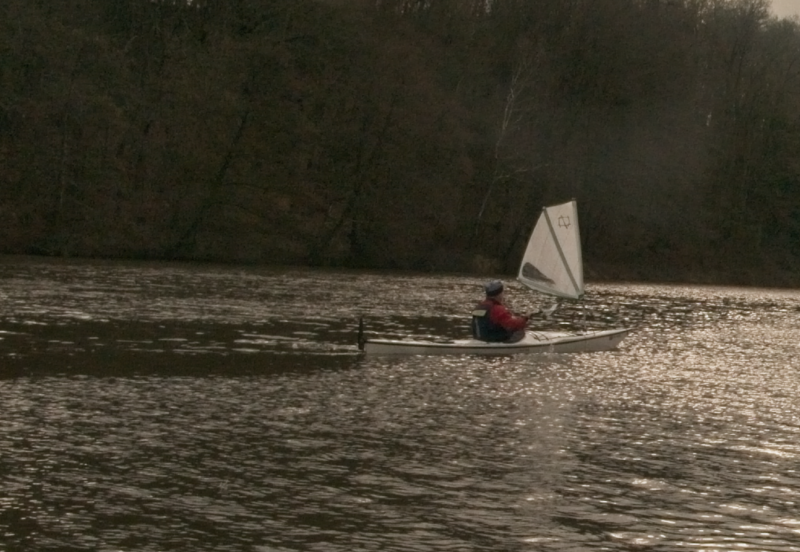 I did not need to look at the cost of cargo for a full size glass boat, but certainly a folding kayak could fit the bill. The end of a period of research led me to purchasing a Nortik Argo. 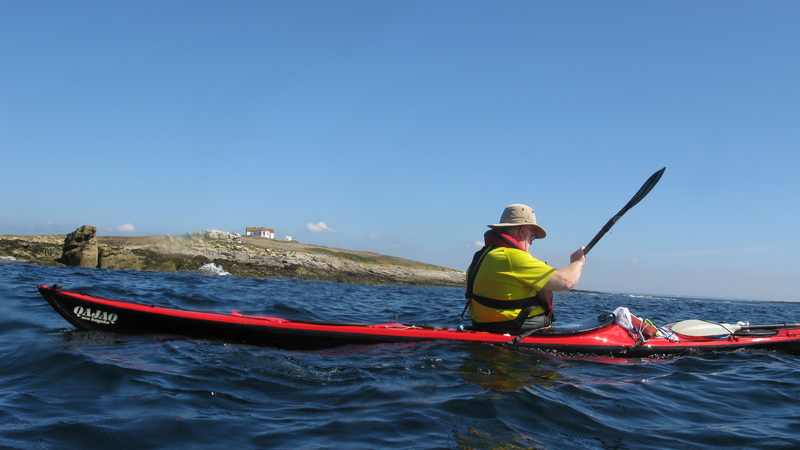 It has proved to be a very capable kayak, certainly worthy of a separate blog entry. 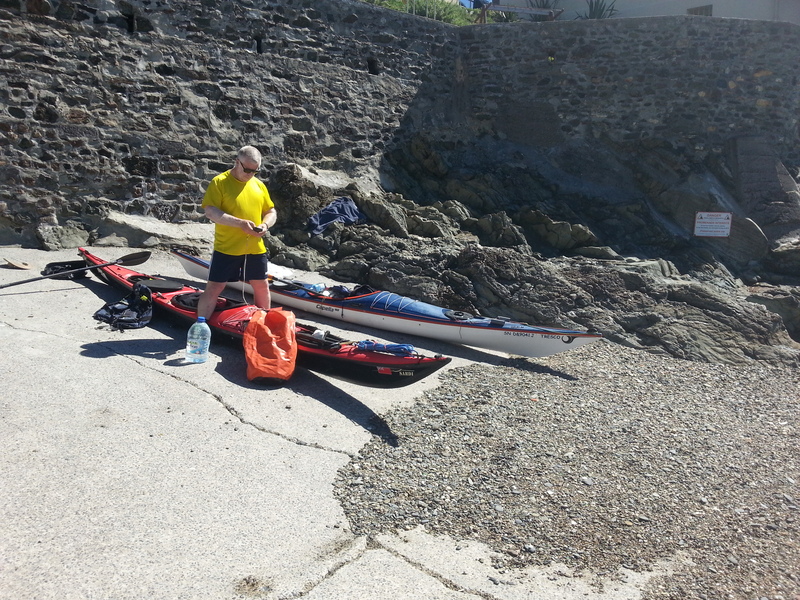 The kayak weighs in at around 20Kg. 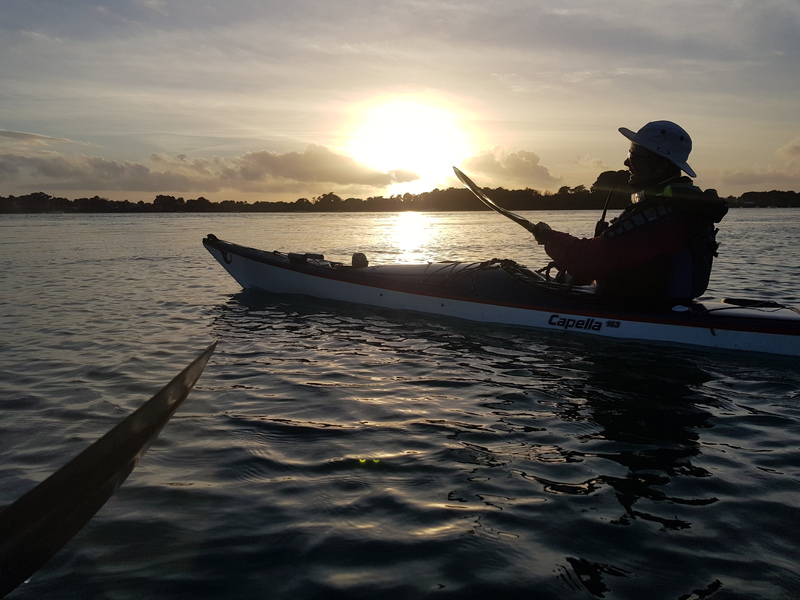 My intention was to take this kayak to some exotic destination for warm water paddling, so my next step was to check out the Baggage limits for different airlines. This turned out to be the most difficult bit of the research, from past flights I knew that a 23Kg limit was common. The more limiting factor that changed with different Airlines was the maximum cumulative dimensions. However the. end result was an Airline that offered 30Kg (1 or 2 Bags ). checked, and another 7 Kgs Cabin. 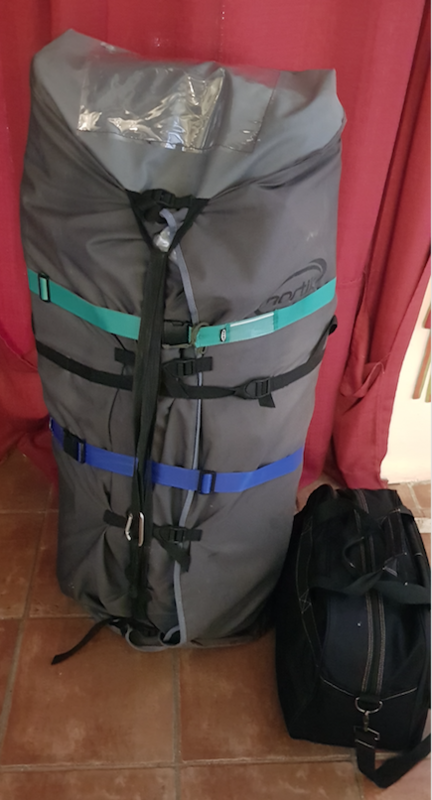 I managed to fit boat, and all paddling kit, together with hammock, cooking and bivi kit into checked bag, and in my Cabin bag, 1 spare set walking out clothes, all my navigation kit, and repair kit. The checkin was no problem, with the boat sent across to the oversize bags, and while it did attract some curiosity there were no delays going through security checks. 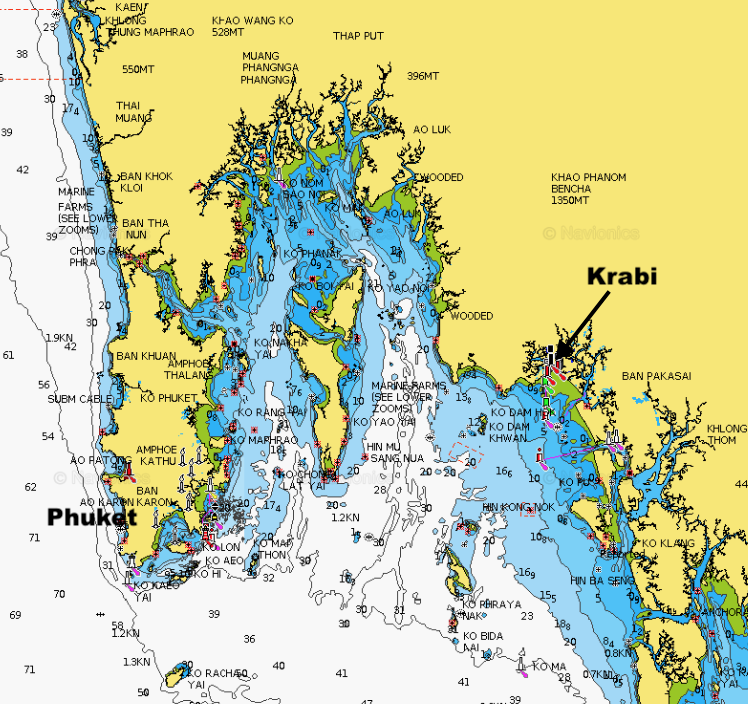 My outline plan was to Kayak from Krabi in Southern Thailand across the Phang Nga Bay and end the trip on Phuket island. 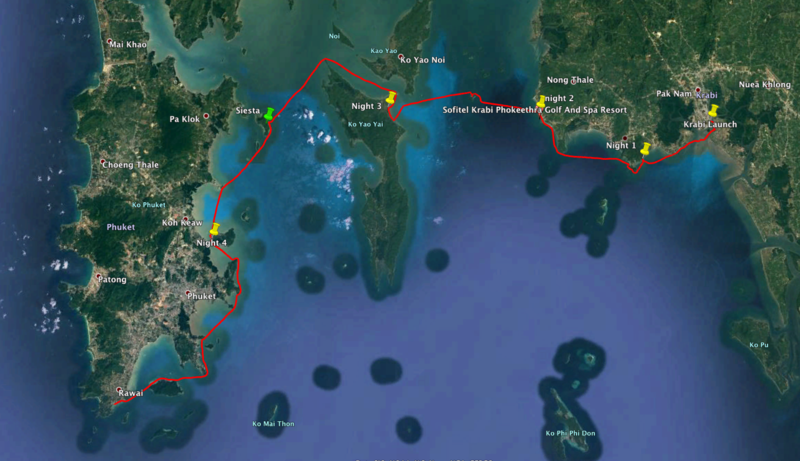 The next destination was then Rayong to explore the islands there. 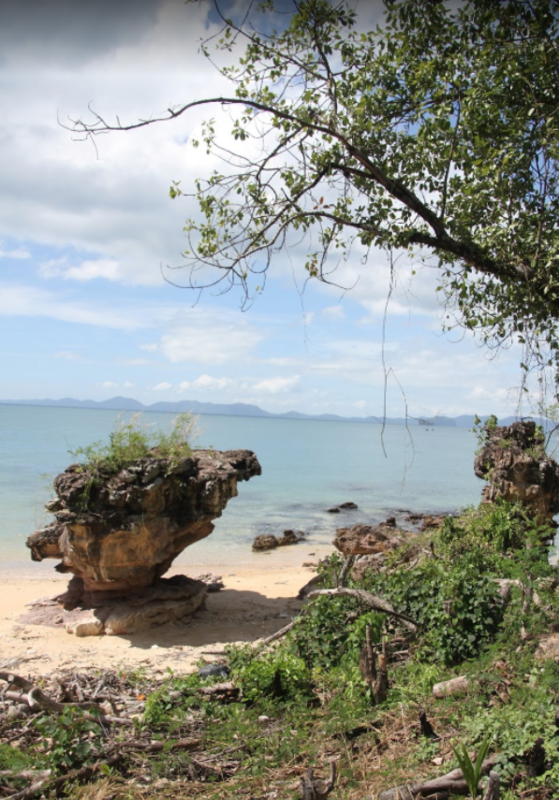 Some of these limestone rocks reach up 300 meters from sea level. The limestone is subject to erosion, both from the sea and waves creating stunning overhangs around the base of the rock. 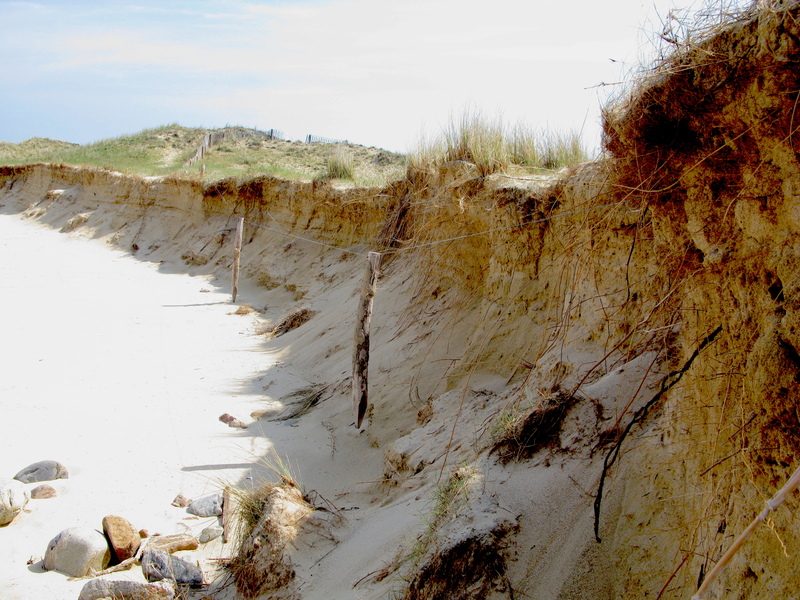 Further erosion comes from rainwater penetration into the rock and dissolving the limestone, often forming caves and eventually opening up to the sea. 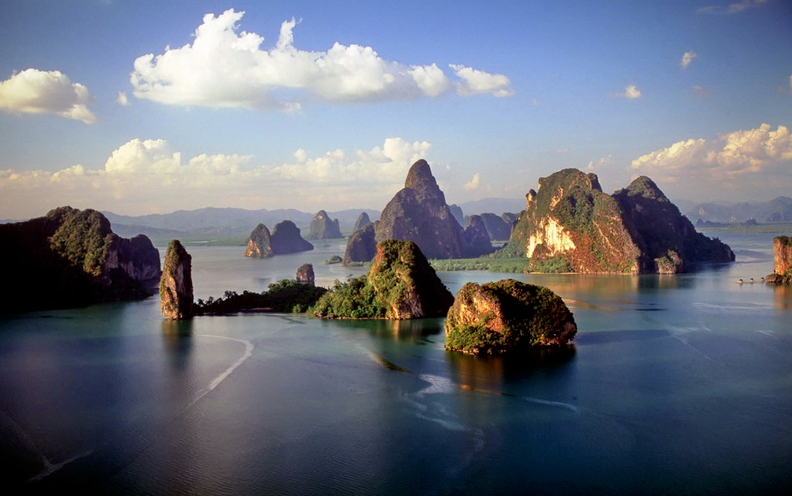 There are good internal flights to both Krabi and Phuket, making it a very simple journey from Bangkok and the return. 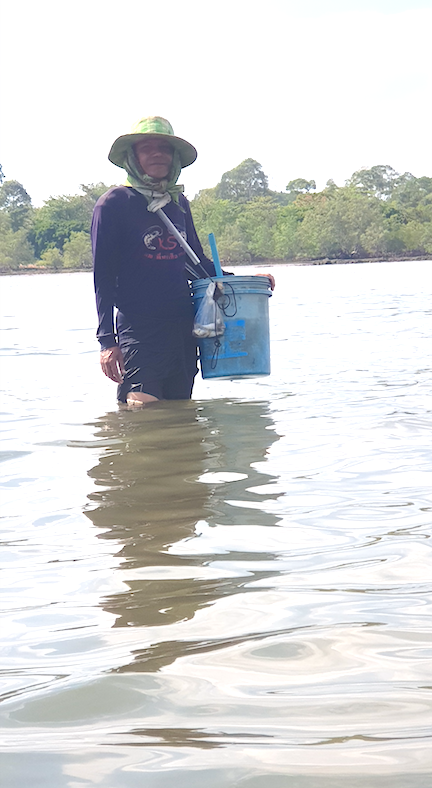 My start was not how I had planned, firstly my flight to Krabi was delayed which and meant shopping for rations would be put off to the following morning. 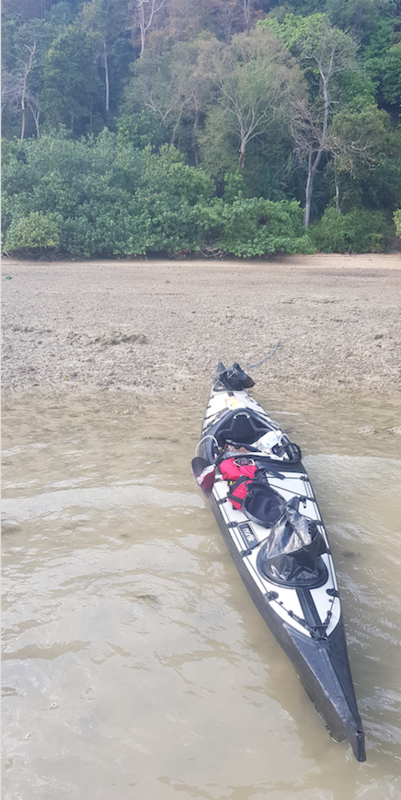 I took a room about 1.5 K from my launch point on the River ‘Pak Nam Krabi’ , I thought a short taxi ride would get me there early allowing a couple of hours to assemble the boat, go shopping and pack. I just couldn’t get a taxi to come out, So it was a walk in, 30Kg Boat pack and 10 Kg holdall. In 34° heat it made for a sweaty start. My first day was already half gone , but I was not overly concerned, I expected to exit the river and planned to stop somewhere along the southern coast. 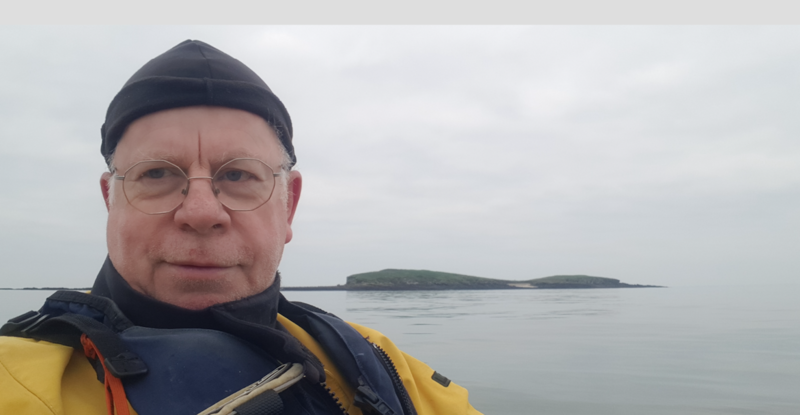 Looking at the chart, I could see there was a deep well defined channel leading out through the estuary, high tide was midday, so I would be exiting on the ebb, I very nearly got left dry on the shallows, the water level dropping much quicker than I expected. 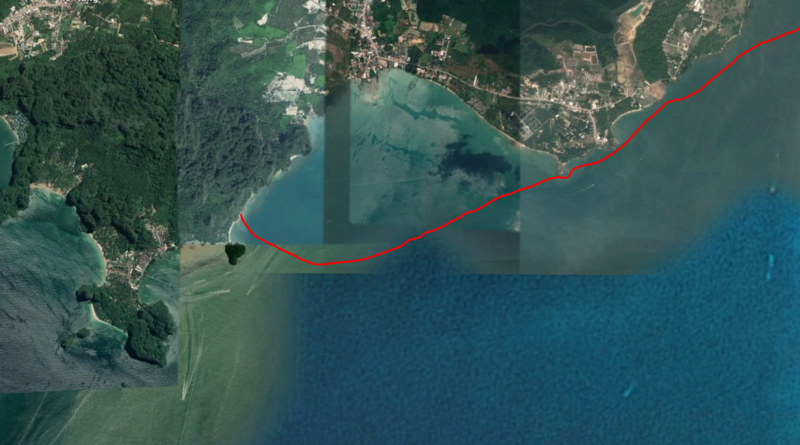 The dog leg in the middle of my GPS trace shows my urgent back paddling to get water underneath me. I soon came across this shell fisherman in the shallow waters. In the background behind the fisherman, you can see the coast is mostly rocky with very little beach, It meant landing was not easy, I began searching out somewhere to overnight. Without any warning the skies opened and it rained, it was difficult to see through and the water bouncing off the boat was deafening, happily it lasted just a few minutes. 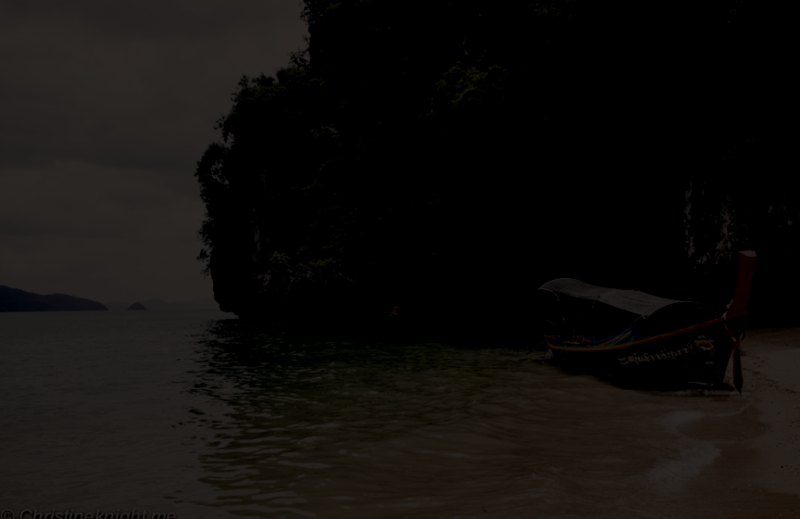 Ao Nang is quite densely populated, however I did spot a long section of beach with jungle reaching down to the sand. On my left tucked into the small peninsular was a small fishing port, with a few long tail fishing boats, I landed about 300 meters West. I decided not to cook, I had a small brushwood cooker but with so much dry wood and grass the risk of starting a major fire was much too high. for my first day I had lots of fruit and nuts, and lots of cornflakes, milk and coconut milk. I ate well. I had not anticipated seeing so much wild life, my first visitor was a rather large Monitor lizard, not much short of 2 meters. I heard a loud rustling in the undergrowth, I guessed it was monkeys, but then this enormous lizard came crashing past me then making off across the sand. 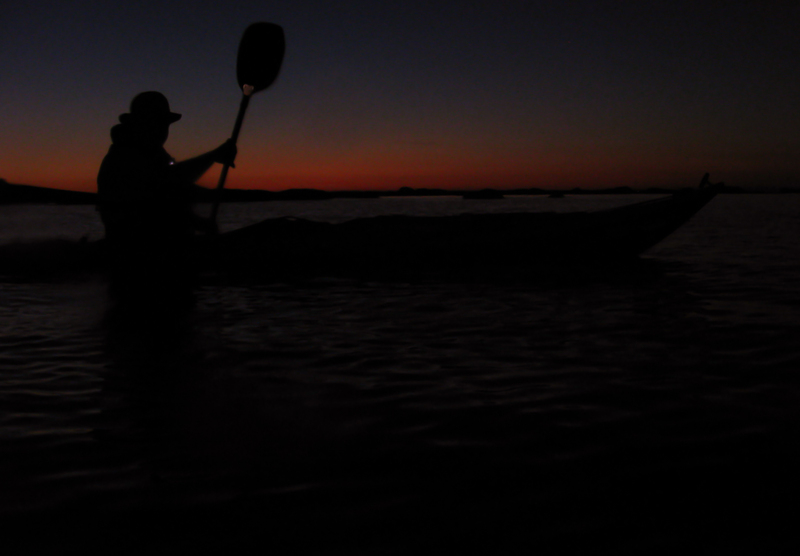 It was a disturbed night, the tide ascended far higher than I expected, in fact it was possible to touch the water from my hammock, but I had taken the precaution to tie everything. However amongst all the noises keeping me awake were thieving monkeys, my zipped closed holdall which contained my walking out clothes and food had been emptied all around my camp. All my fruit , nuts and cereals were gone and bizarrely my Thai silk walking out shirt, clearly monkeys had been responsible. All they left me was Milk and coconut milk which just about was enough for breakfast. 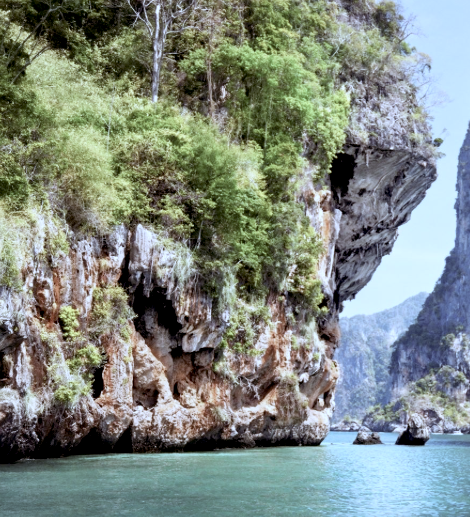 I was now leaving the estuary and the appearance of the karst was now developing its unique appearance, the limestone shaped into magnificent structures through erosion. At this point beneath the cliffs I had a welcome break from the rising sun. As the day was to progress, I was to suffer a bit from headaches and later the runs, most likely due to dehydration. I was being a bit too conservative with my water. 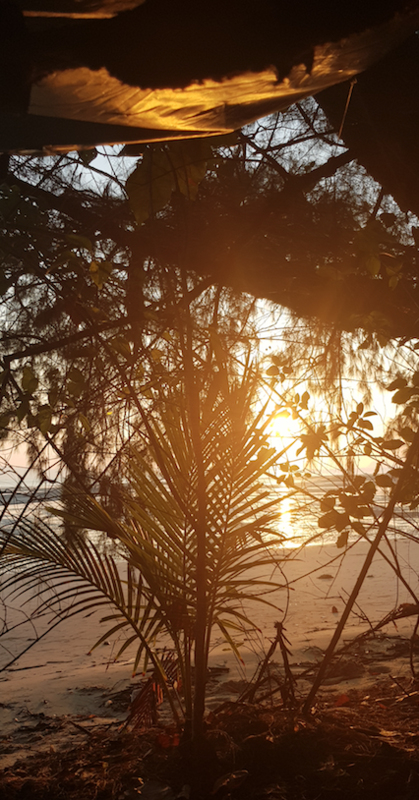 I finally settled at a small stretch of beach, it was after a very well groomed beach which I later discovered was maintained by the Sofitel hotel. No chance to sling up a hammock, and it would be a night on the sleeping mat. The Sunset was great, the temperature dropped to 29°. and a cooling breeze blew across the beach. I was happy with my progress, my biggest concern was the temperature, I had not any time to acclimatise going from 2° in France to 34° in Thailand. 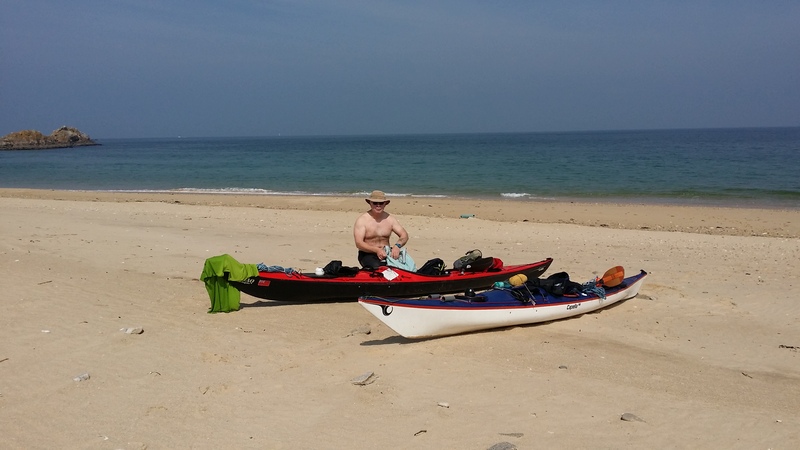 I started my paddling trip just 4 Days after arriving in Thailand. I still was not ready to eat but did get plenty of fluids in with ” Dioralyte ” which left me feeling ok. 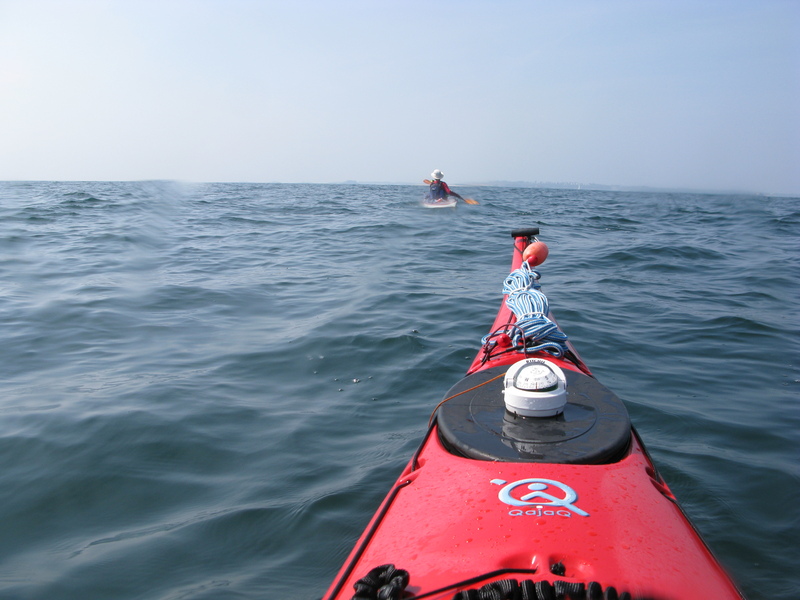 The sea was flat, barely any wind and it was going to be an uneventful crossing. 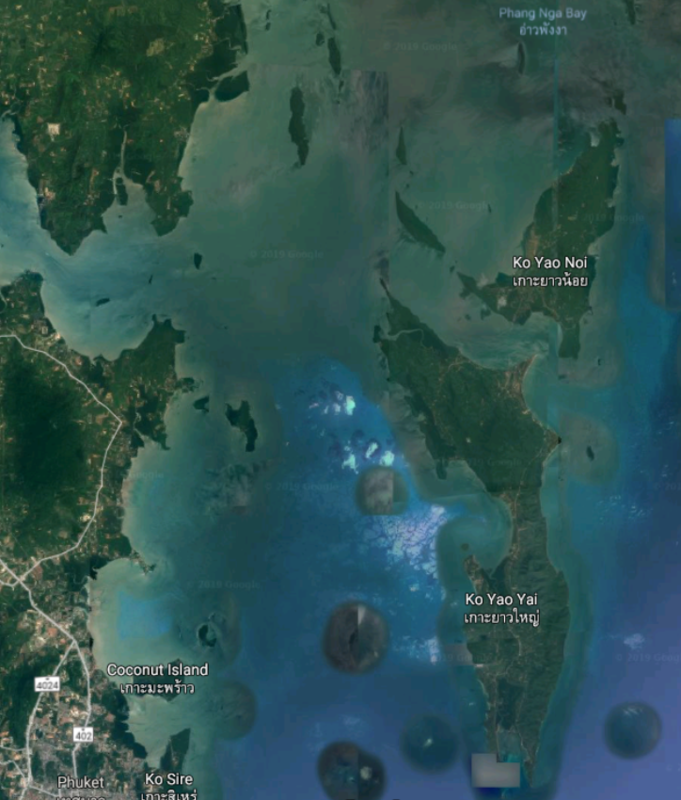 In the photo on the right hand side is Hong Island, the kayak is pointing to Ko Yao Yai over to the left and much fainter in the centre of the photo you can see Phuket mainland in the background. 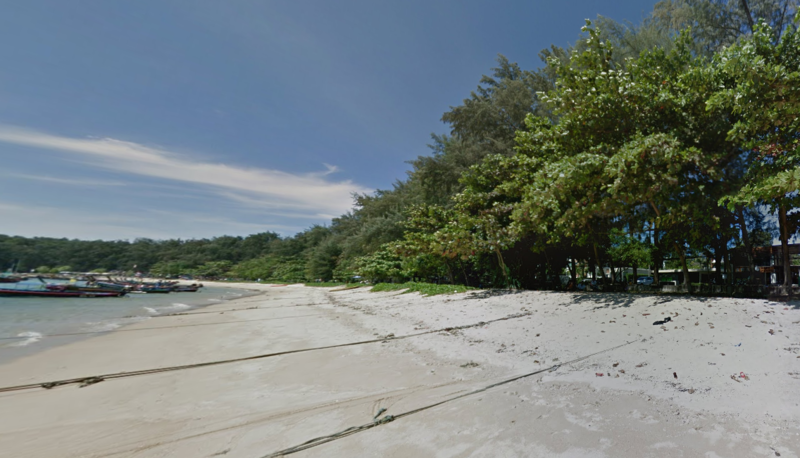 Theres a few beaches exposed on Hong Island at Low tide, but they are covered quite quickly. Certainly no prospect of overnighting. Leaving the lagoon, again the undercut limestone revealed many caves, but with tourists arriving it was time for the second leg of the trip to Ko Yao Yai. Another open crossing but on completely flat water. The wind had increased slightly to give a nice comfortable cooling breeze. 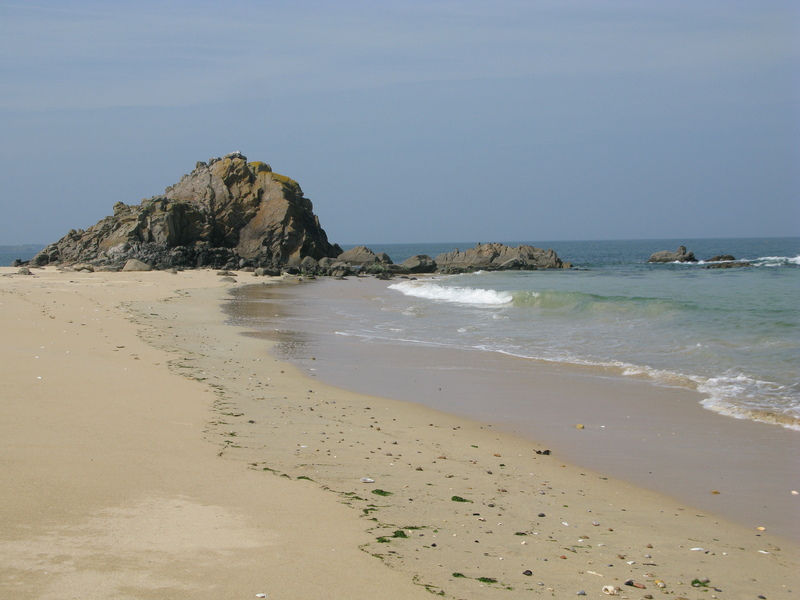 The Northern point of this East coast looked idyllic, white sandy beach with many tall coconut trees rising up, but the topography meant at low tide there would be around 1 Km of beach. 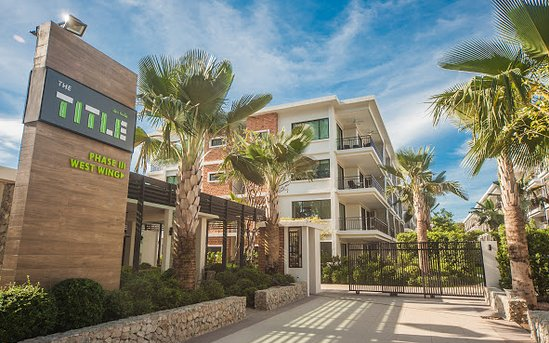 Instead I head a little further south, as I got closer I could identify a couple of beach type resorts, It was already going through my mind that a night in a comfortable bed and a shower would be good, I made for the resort. As I approached it was quite simple timber structures, straw roofs, and in fact looked a bit storm damaged. 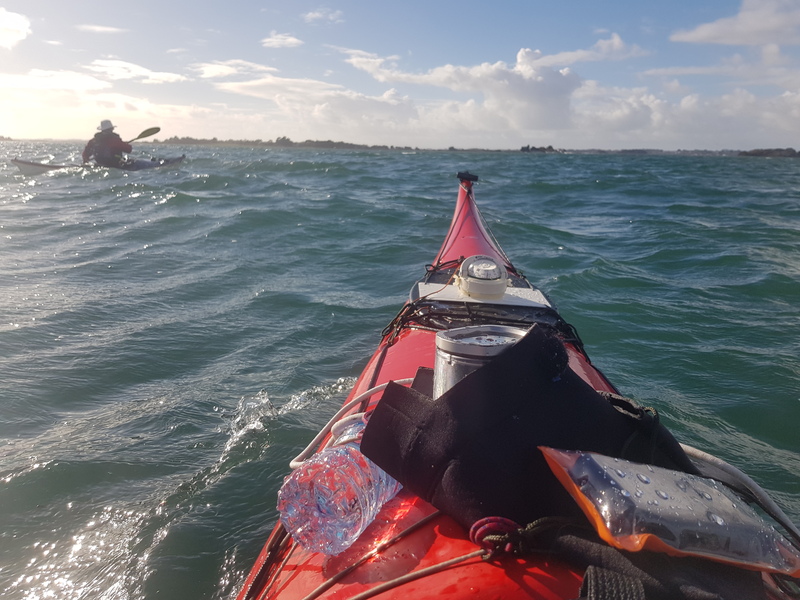 There was a sea wall along the front so I paddled to the edge just outside, a very rocky beach but also full of rubbish, very sad to see. I nearly fell over when I was given the price … they wanted 60£ for the night. so it was back to the boat and out to look for tonights bivi. A few hundred meters along the beach I found a neat clearing and some stout trees for the hammock, at least I ll sleep good. 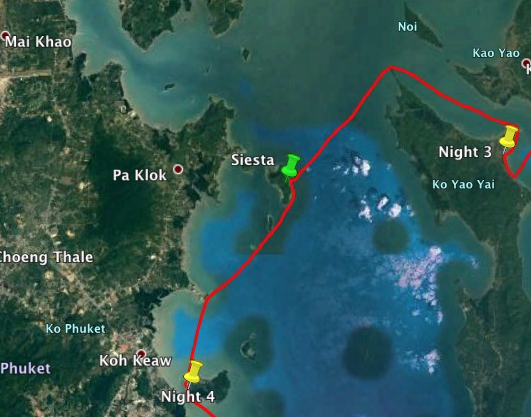 The night had been terrible on Ko Yao Yai, I had set up camp in an area full of vicious biting red ants. They started as soon as I erected the hammock, fortunately they all disappeared come dusk. But at first sign of daylight they were back again. Ko Nakha and in the distant background on the right Phuket island, the scenery was always amazing, I often found estimating distance difficult with nothing to reference the size. After a decent rest on Nakha I pushed on South to coconut island. 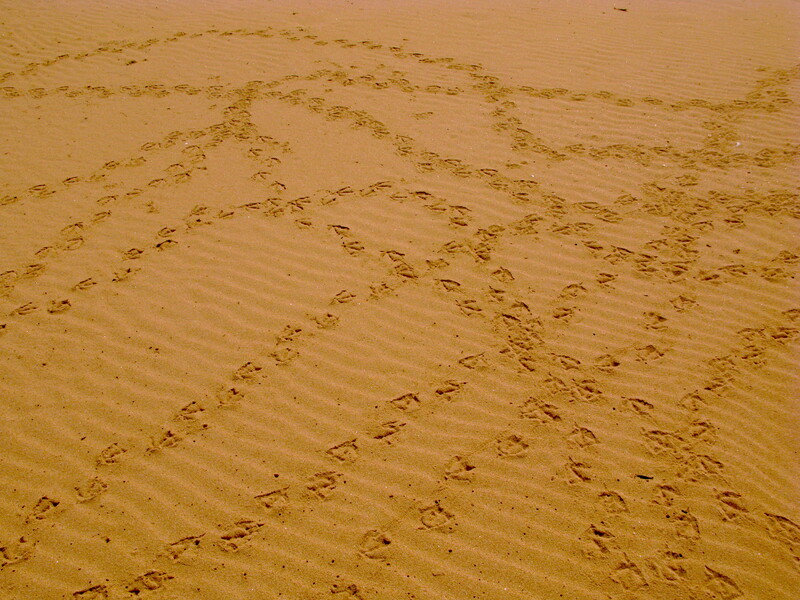 Navigation was a little more difficult with numerous islands around. 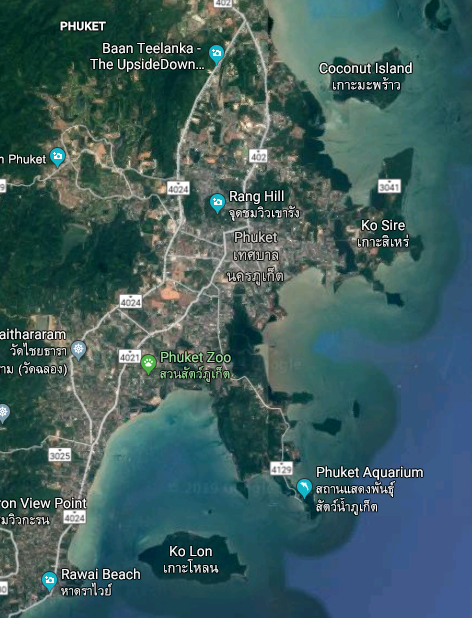 Coconut island is not far from mainland Phuket, and gets many visitors, I’ve found in this situations every inch of habitable space is used, but after 38 k I was going to be happy sleeping anywhere. 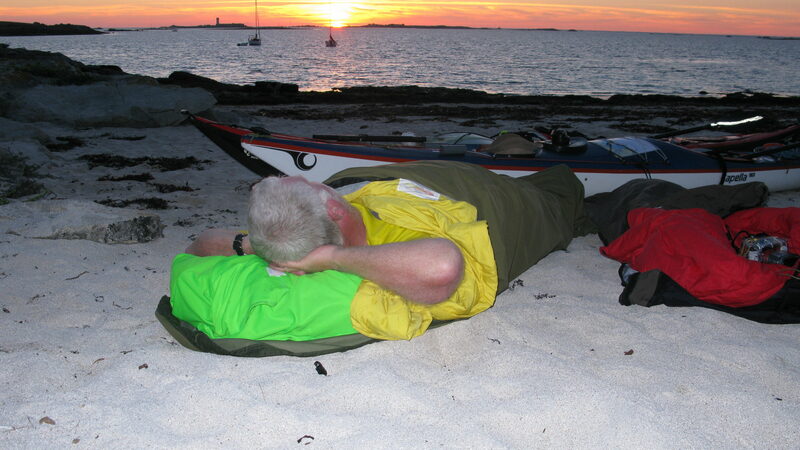 I soon found a quieter area of beach on the West coast for my last bivi on this trip. It was in very good spirits I departed from coconut island, not least because I was leaving behind the burrowing hermit crabs that objected to me making my bed on top of them. 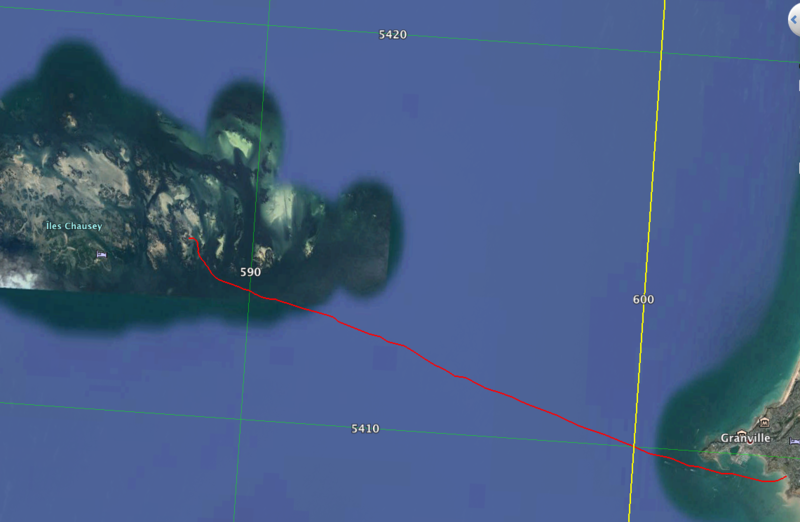 The navigation was going to be testing with the greater number of islands and care would be needed if I was not going to add more kilometers to my route. 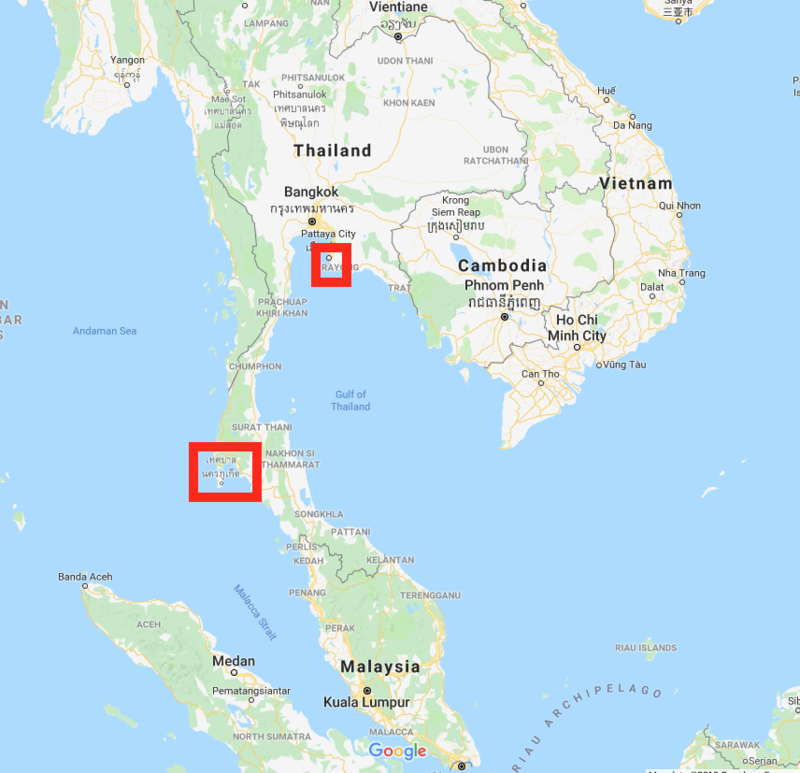 My plan was to leave coconut island South East to round Koh Sirethen to continue South to the East of the Tapao islands, and rounding the point of cape Panwa. From here my final destination on Rawai beach would lie directly behind Ko Lon. My condo lay across the Southern end of the beach across the road, I was looking forward to the luxury. 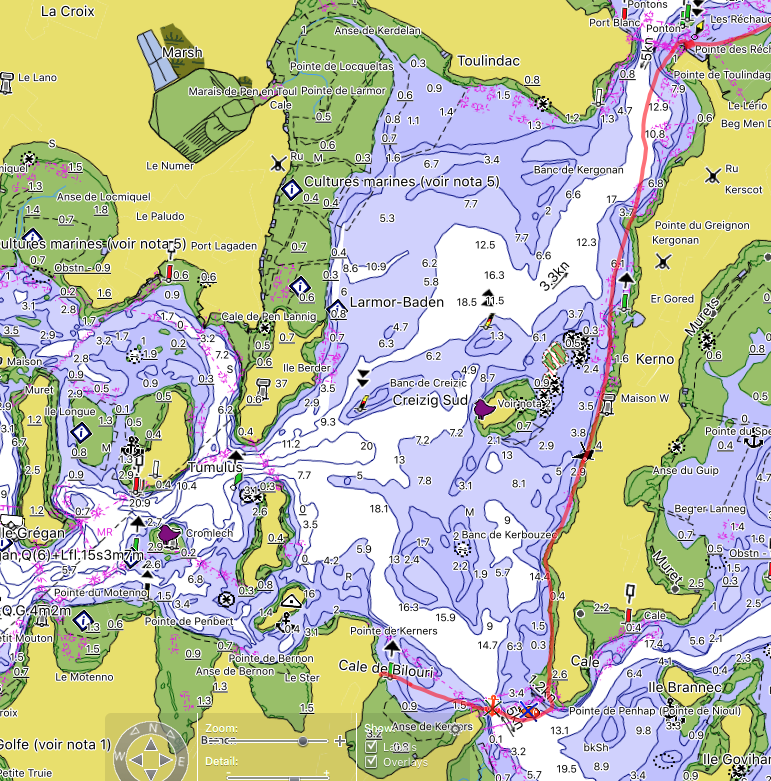 This trip takes place around the Western reaches of the Golfe. 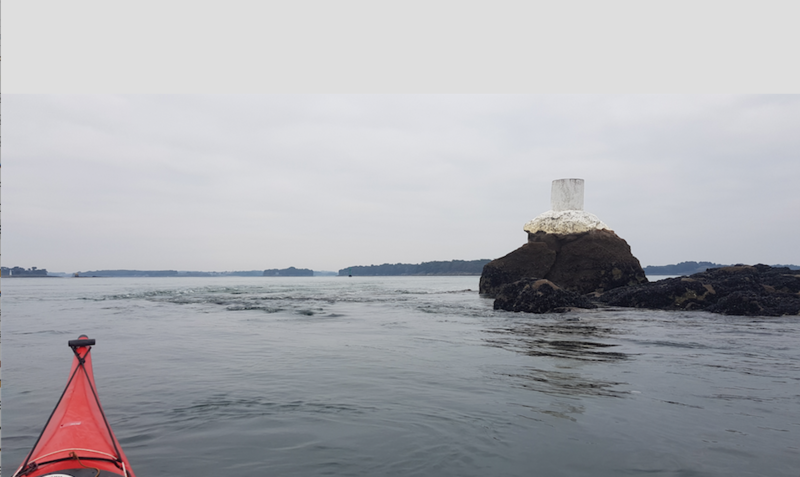 Brittany in general is well known for it’s Megaliths Cromlechs and Burial Mounds, and the Morbihan department has many, then include a low spring tide into the mix and you know you will enjoy a good days paddling. 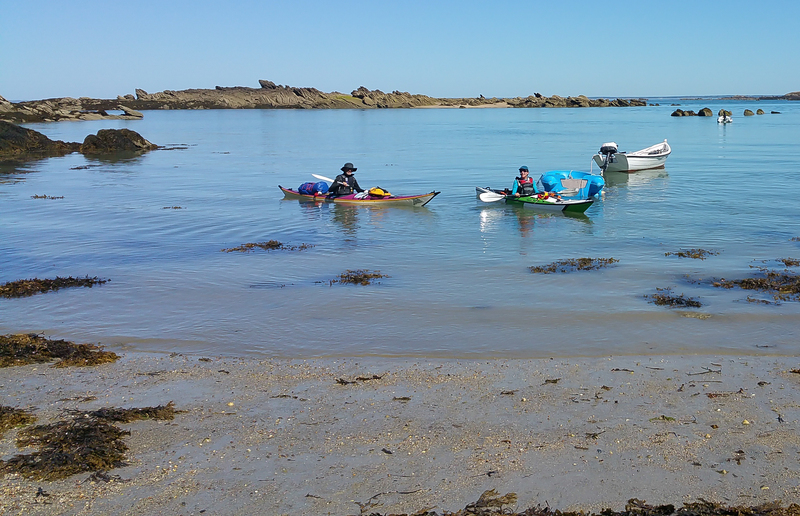 The plan was to launch on the ebbing tide and to tour the smaller islands during a trip out to the small island Meaban situated outside the Golfe in the Bay of Quiberon. 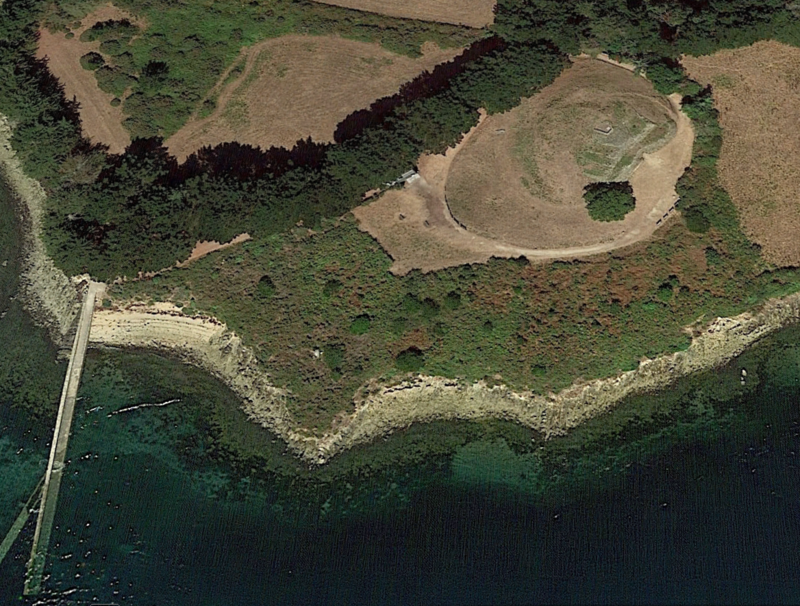 Then continued to our first point of Interest, Île Gavrinis. 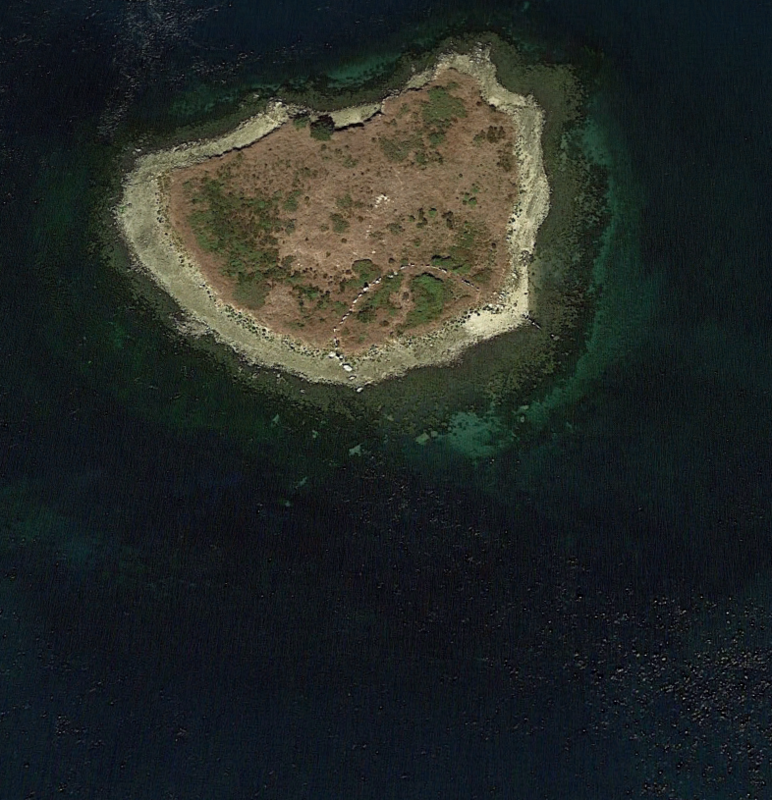 This involved crossing the 300 meter wide straight that lays between Île Berder and Île Gavrinis. This is the major channel that drains the larger part of the golf and on the Ebb the current races through. 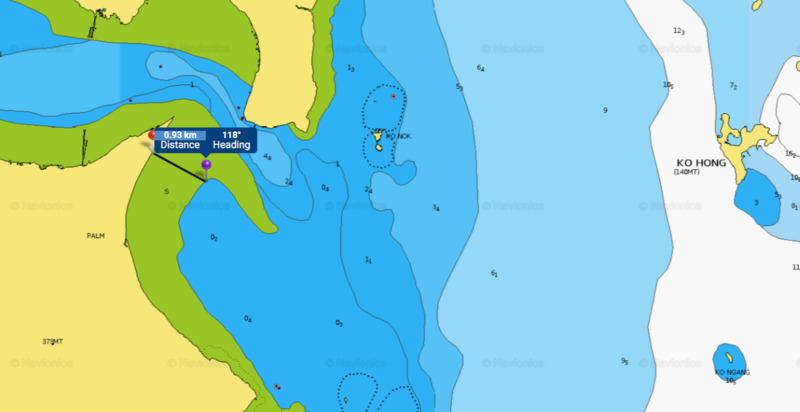 Looking at the Tidal Stream atlas give mean Spring and Neap rates as 7.1 knots and 4.6 Knts using the adjustment chart a corrected Rate for a 79 Coefficient returns a speed of 6.4 knots. 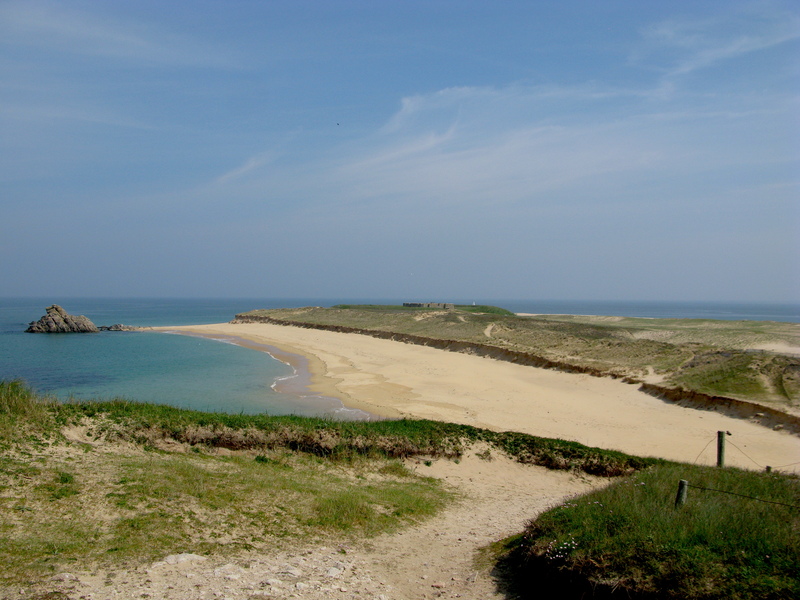 There’s not a lot to the island really except of course its status as a protected area, access is forbidden during the breeding season from April to September. 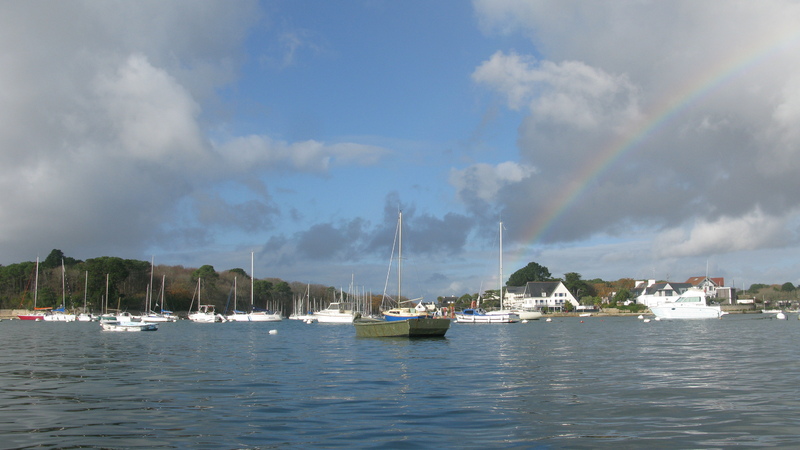 The nearby Port of Crouesty with its enormous marina has come into conflict with the Protection organisations for organising power boat and Sail racing events. 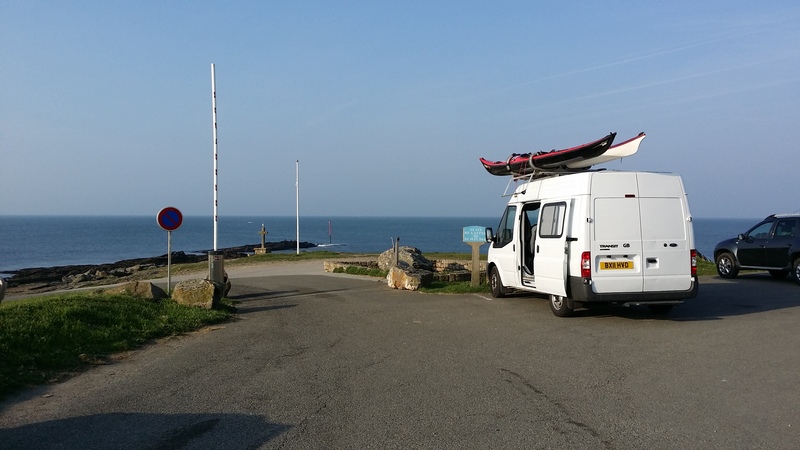 The next leg was to visit Port Navalo to call into the nearby Port Cafe for a coffee, so after a short paddle back to the port entrance we could see the cafe was shut, so on again to Pointe de petit mouton. 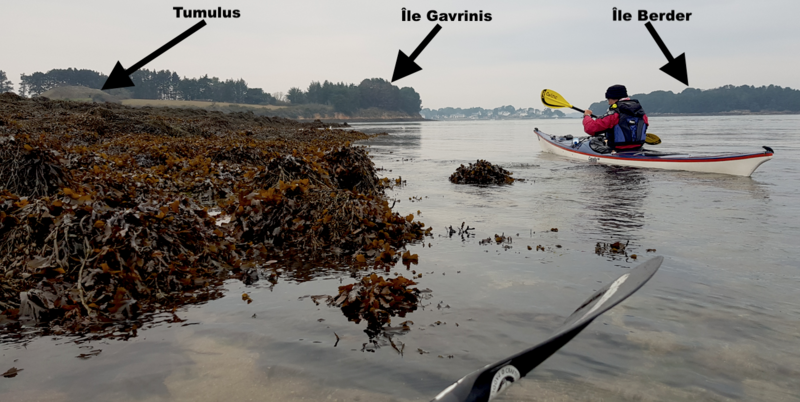 Our return retraced our outbound route taking us along with the flood, as we approached Er Lannic we spotted more paddlers, we thought at first it was the group from the Vannes we met that morning, but no. 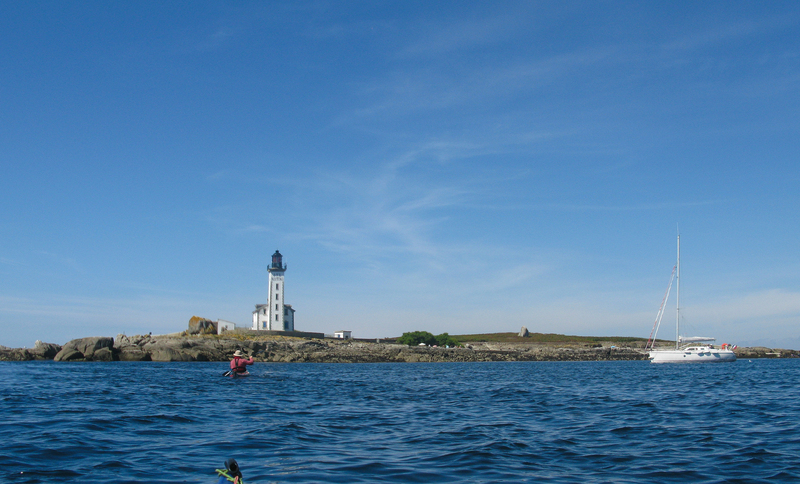 We greeted Alexander and friends, an informal group of paddlers on their annual news years paddle. 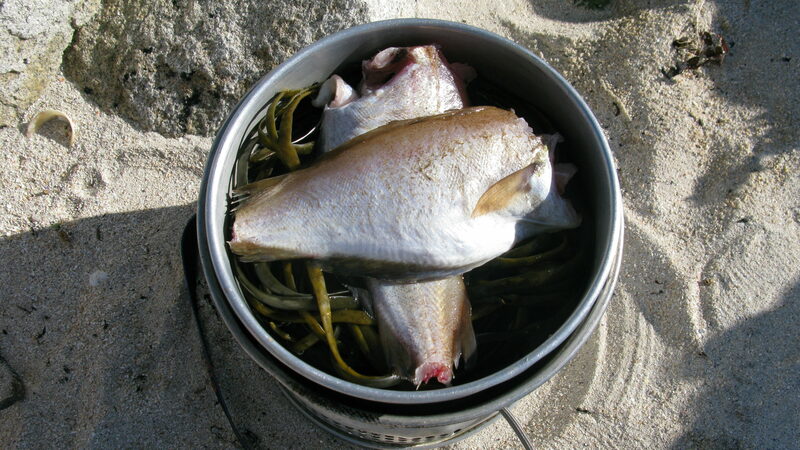 Alexander was carrying a large cooking pot strapped to his rear deck, he explained they enjoy a communal lunch of Stewed Deer on this first trip of the year, nows thats winter kayaking ! 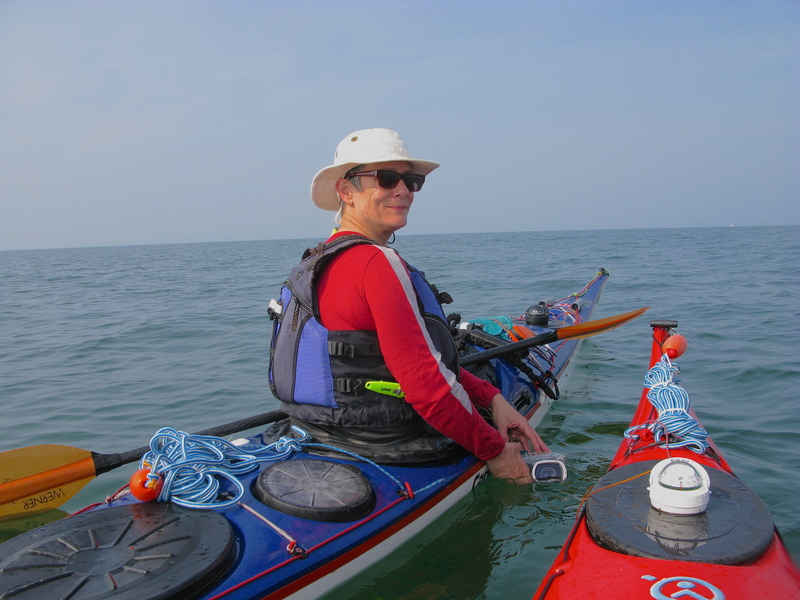 Most of my paddles on the Golfe are circular routes making use of the high or low tide to take a short break. 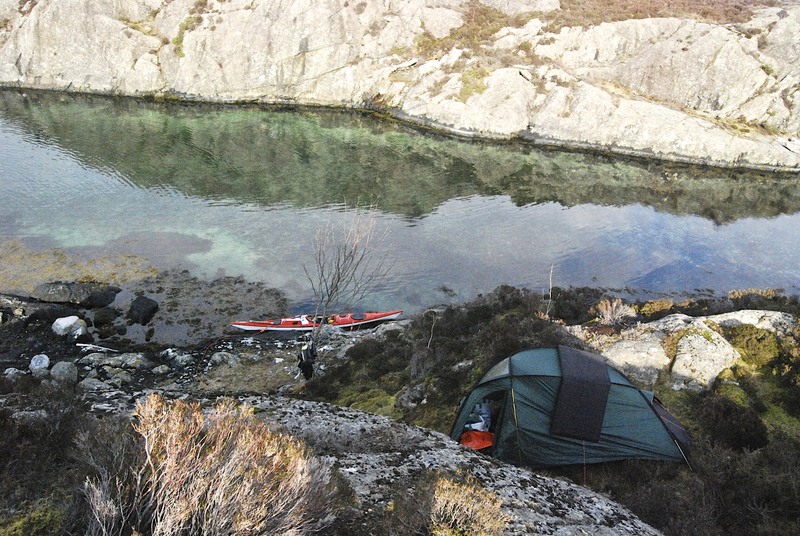 During the summer months with long periods of high pressure its not too difficult to find a day where a circular route works, but winter with fast changes of weather often means that planning can only happen a day or two before the proposed trip. 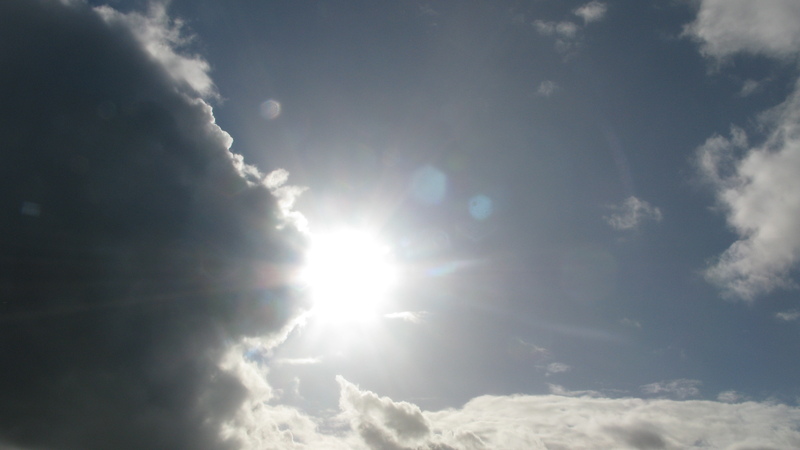 So after a massive storm out in the Atlantic a very narrow window appeared where the wind would drop, the rain would break and a promise of some winter sunshine. ( The coefficient ranges from 20 to 120 with 45 = Mean Neap rate & 95 = Mean Spring rate). 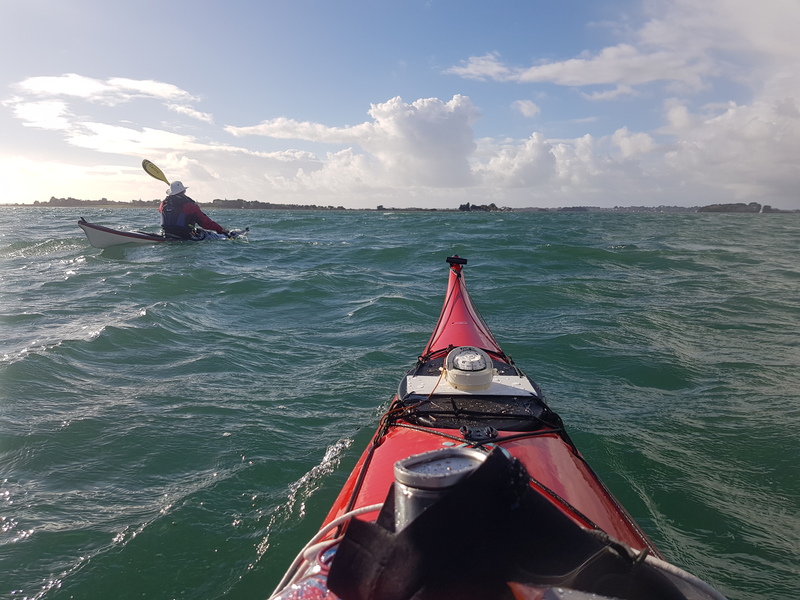 A bout of cramp in my foot saw me leaping out of the kayak to adjust the footrest, at which point we had entered the golf and rounding the Eastern shore of the Island Boëdic. 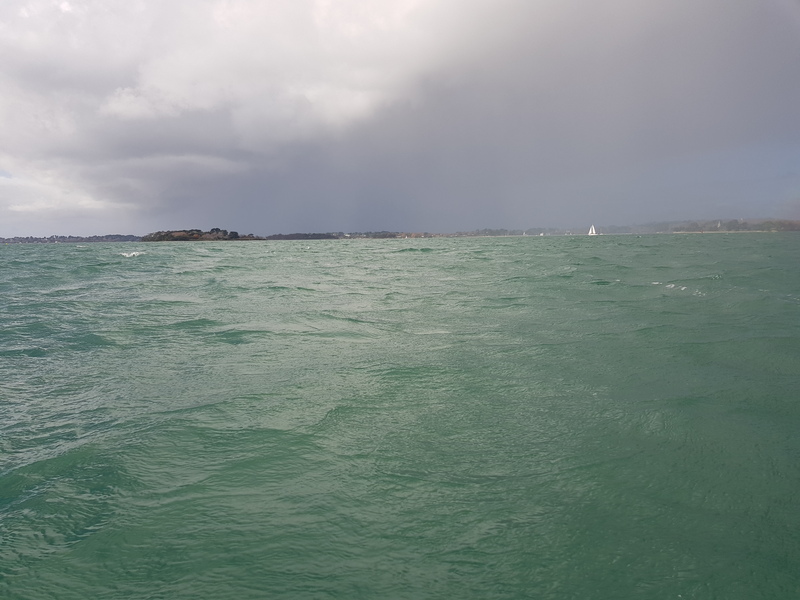 about 500 meters short of Drenec and very quickly the sky darkened, a squall was heading straight for us, wind had increased to the top end of BF4 and the rain was heavy and thick. There was a point where we thought it may pass us by on the right, but it completely covered us. 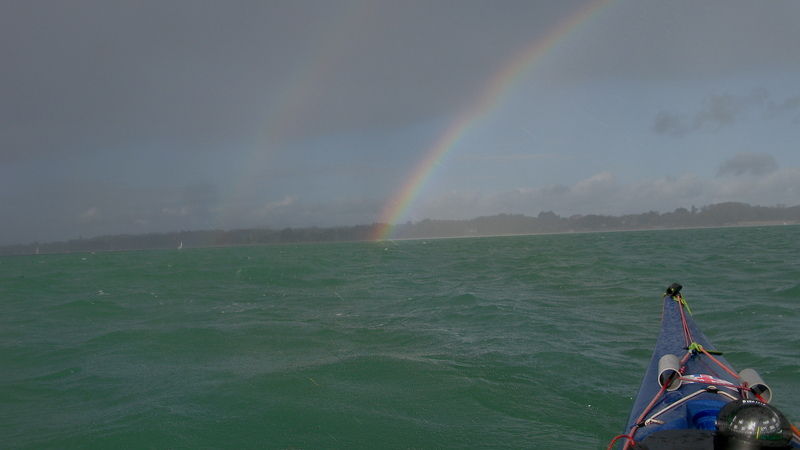 It was very dramatic with a very clear line of the front and a fine display of a double Rainbow. 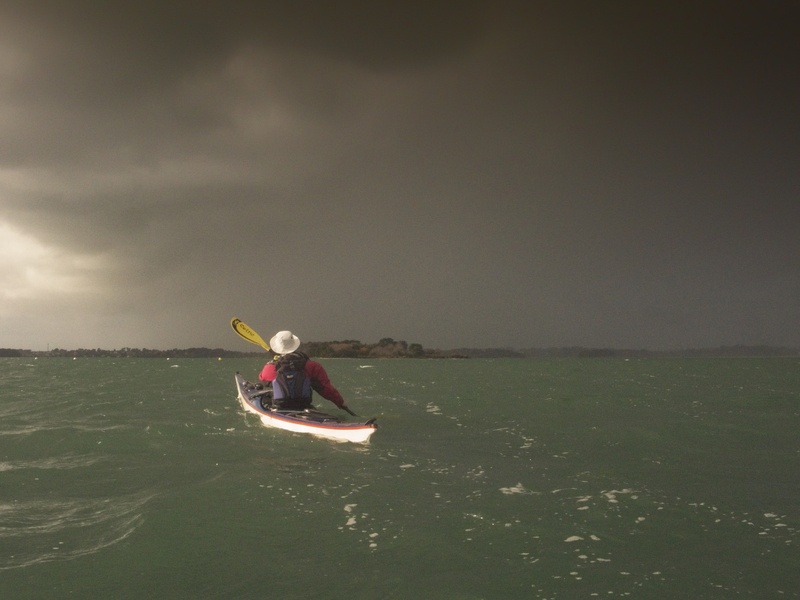 Now the wind was driving the rain straight at us so we headed direct on to Drenic to wait it out in the lee of the island. But as quickly as it had approached after 10 minutes it had blown over. 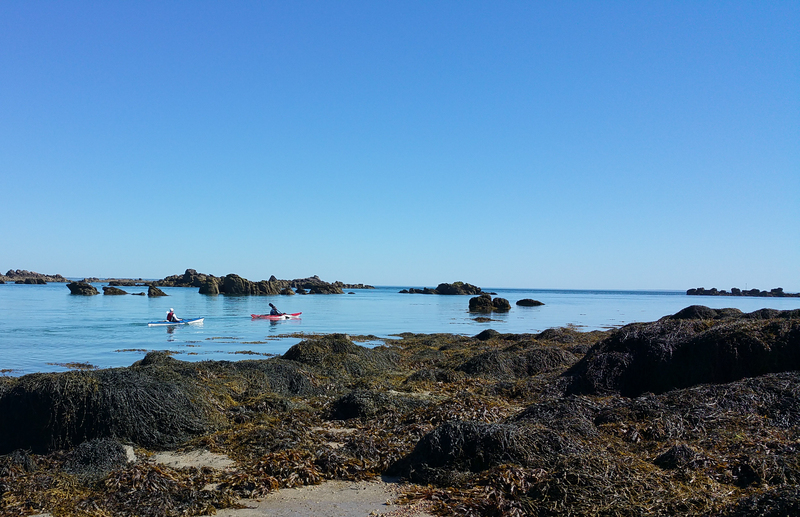 We overstayed on the break, and chose to continue the trip down the West side of Île aux Moines, at the narrows round top of the island opposite Aradon I was making 9 Kph without paddling. 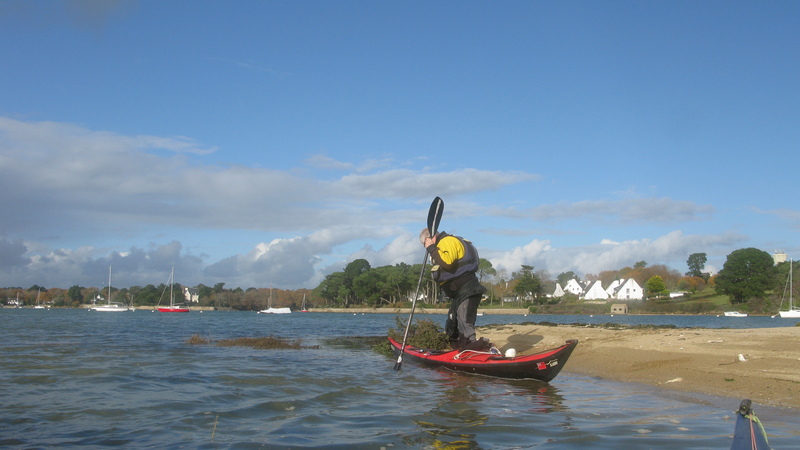 There is not a huge amount of difference, and in part makes things a little clearer for visitors coming to France sea paddling. 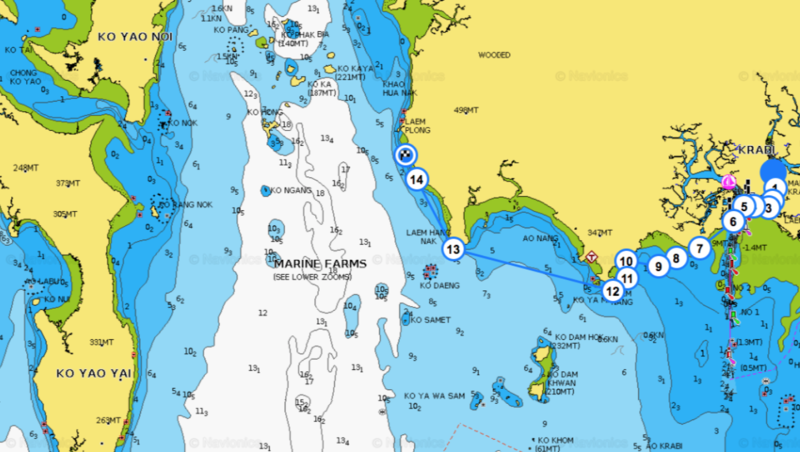 Mardi 30 août, marée haute à 4h13 à Concarneau. 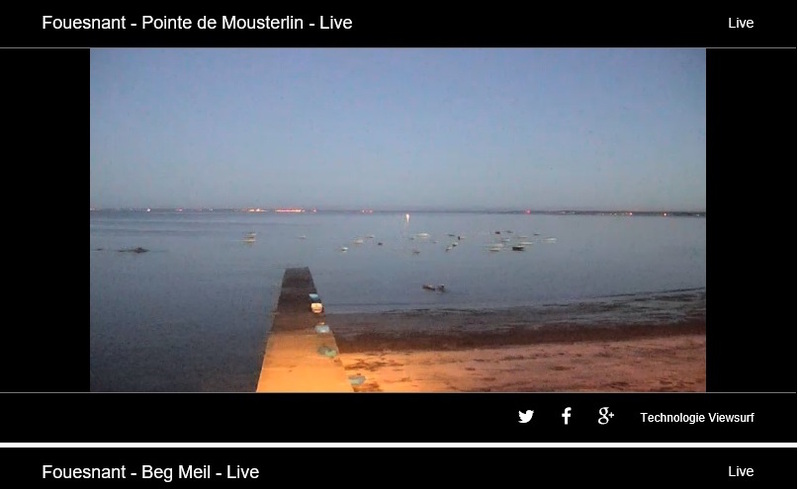 Pour rejoindre les Glénan depuis la Pointe de Mousterlin, l’idéal serait de partir à 5h30 mais comme la navigation de nuit est interdite aux kayaks en France, on partira à 6h45. 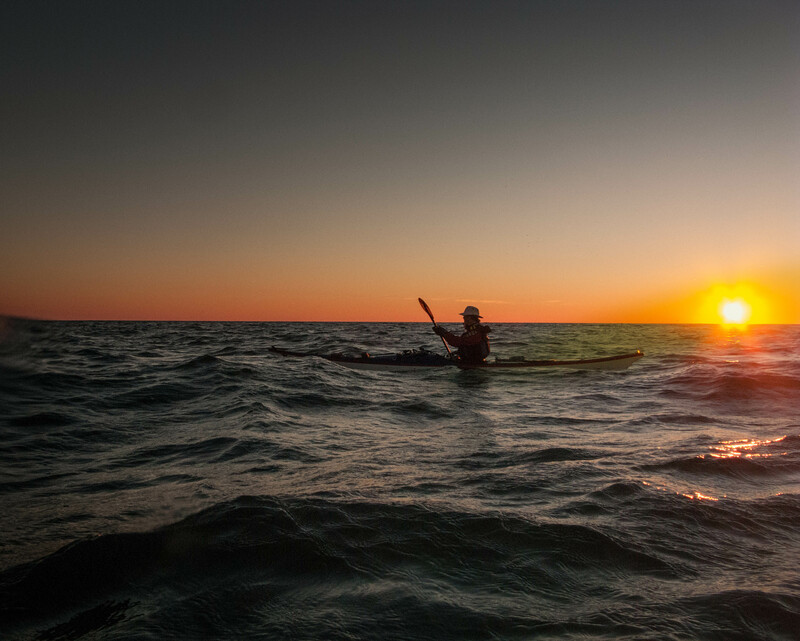 Les kayaks sont chargés la veille au soir et le matin, on embarque sous les yeux d’un spectateur qui nous suit avant de partir à son travail grâce à la webcam. Merci Ronan pour cette capture d’écran qui montre le lever du jour sur la mer. Nous laissons les Moutons sur notre droite, ils sont pratiquement à mi-chemin de notre traversée. Plus loin, nous croisons la route de 2 groupes de marsouins, pas loin de 10 individus en tout. Ils nous ignorent complètement. Après 3 heures de traversée, nous débarquons sur Penfret pour prendre notre thé matinal dont nous a privé notre départ aux aurores. 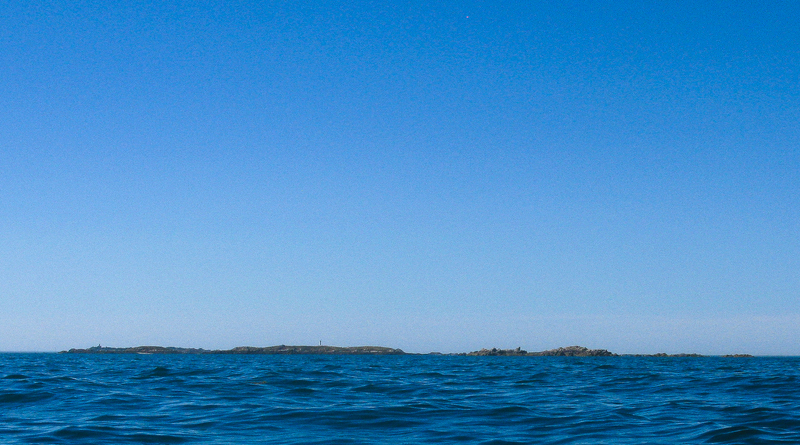 Ensuite, ré-embarquement pour une balade entre les îles avec nos traînes. On espère ajouter un maquereau ou deux à notre dîner. Pas de chance, on restera bredouilles. Un avion (Falcon 50 ?) survole l’archipel à basse altitude en décrivant des cercles. On le reverra le lendemain. 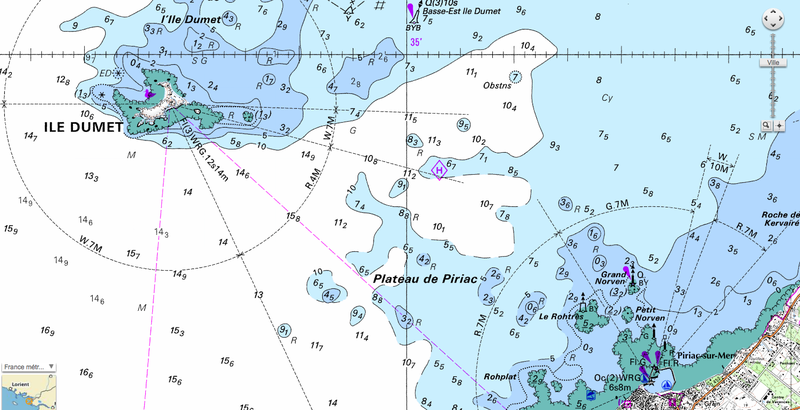 Nous finissons par abandonner la pêche et nous allons à Saint-Nicolas prendre un verre mais il y a beaucoup de monde, les vedettes n’arrêtent pas. On n’a jamais vu autant de touristes et de plaisanciers lors de nos précédentes visites. 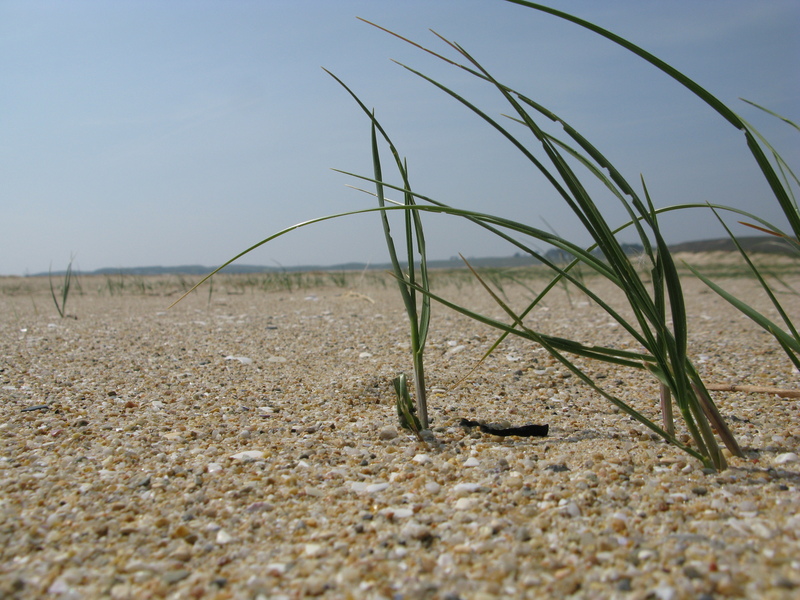 Nous regagnons à 18h notre coin de plage pour le bivouac de la nuit. En débarquant, nous voyons un monsieur venir vers nous d’un pas décidé. C’est sûr, il veut nous parler. 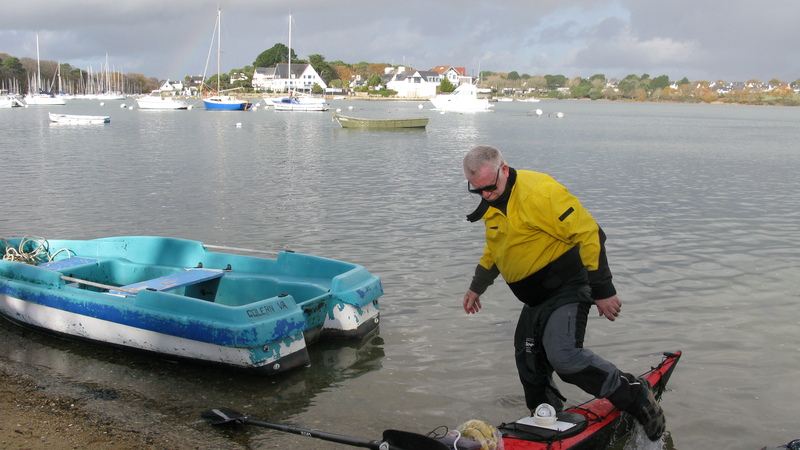 M. Cap nous pose plein de questions sur nos balades, notre équipement…, il veut tout savoir car il a un kayak, un Anas Acuta, un beau bateau. M. Cap et son ami nous aident à porter les bateaux en haut de la plage, on n’en revient pas. C’est vraiment exceptionnel que quelqu’un nous propose un coup de main. Et ça ne s’arrête pas là! Ils nous offrent des prunes Reine-Claude du jardin et pour finir, ils nous donnent 2 tacauds de belle taille pour améliorer notre dîner. 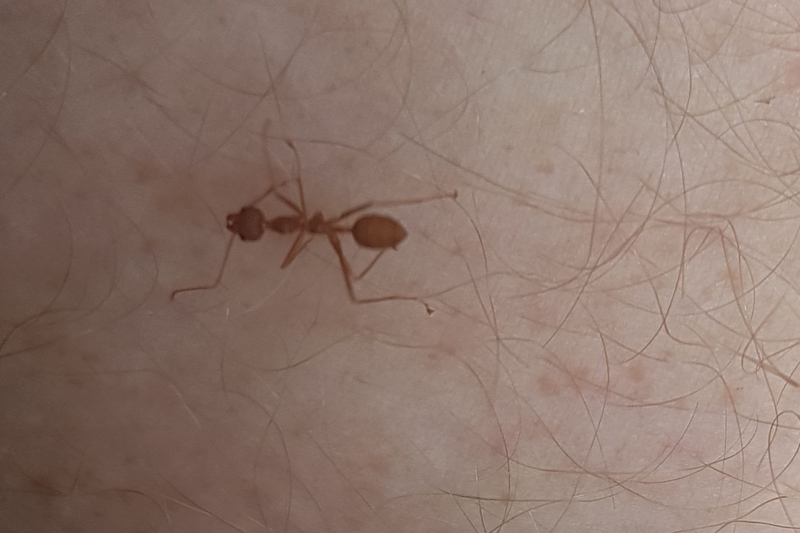 Rencontrer des gens d’une telle gentillesse, c’est rare et ça rajoute beaucoup à une balade. Merci beaucoup. On a cuit nos tacauds à la vapeur sur lit d’algues. M. Cap, pour vos trappes de caisson qui se fissurent, je pense que le magasin Bekayak de Brest qui vend aussi en ligne devrait avoir des trappes de remplacement (Valley ou Kayaksport). Pour être sûr d’avoir le bon modèle, le mieux serait de leur téléphoner ou d’aller au magasin. Et autre chose : votre nom peut se traduire en anglais par “course” mais aussi par “bearing”, on avait oublié de vous donner cette 2è traduction. On a eu droit à un magnifique coucher de soleil et à une très belle nuit étoilée une fois de plus. Il n’y a pas à dire, on est gâté! Et comme ça n’est plus la pleine lune, on peut les voir toute la nuit. 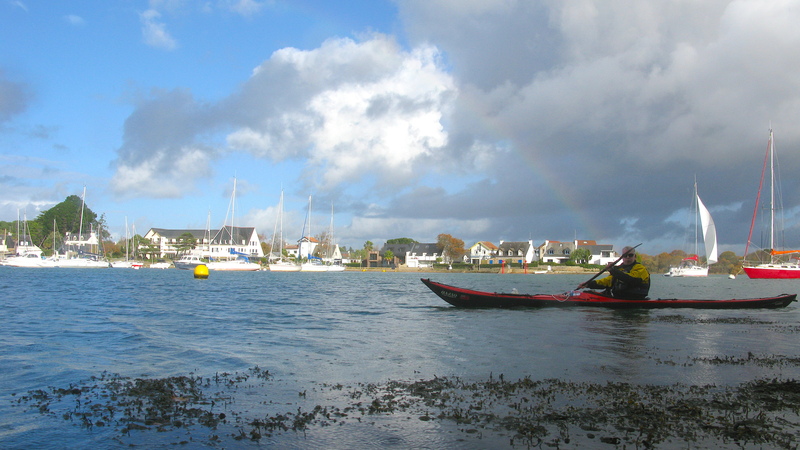 Le lendemain, mercredi 31 août, on embarque à 12h, soit une heure après marée basse à Concarneau. 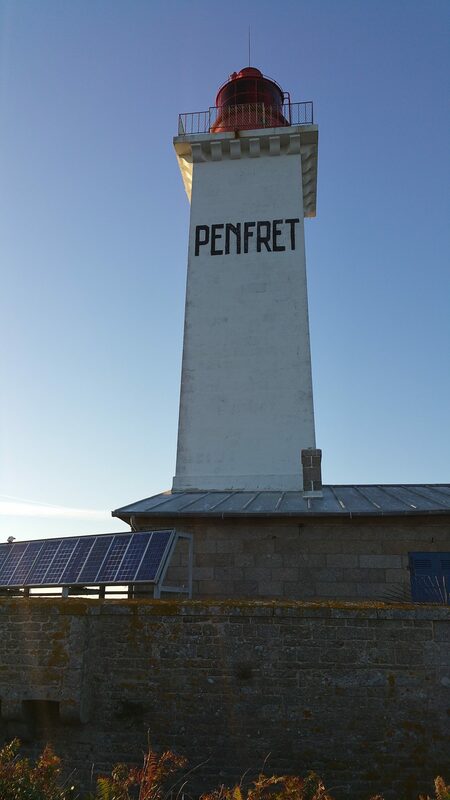 3h de traversée, belle mer, très peu de vent, les deux derniers kilomètres avec du surf et le vent qui s’est un peu levé juste après notre arrivée. 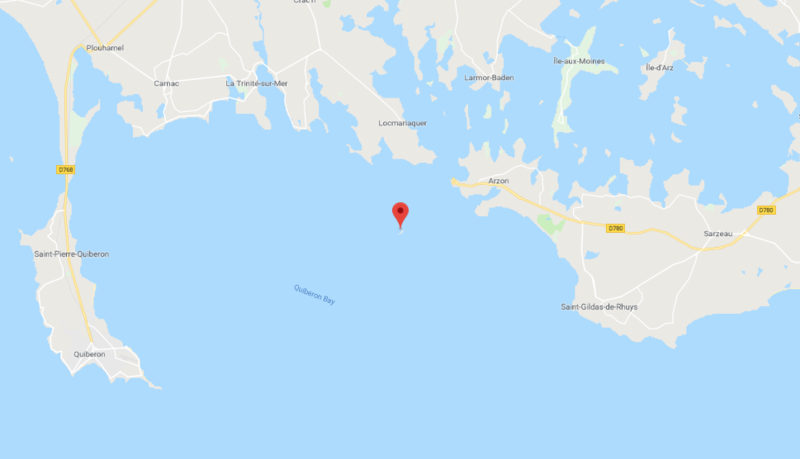 Pour la préparation, nous nous sommes reportés à l’atlas des courants de marées du SHOM qui utilise Saint-Malo comme port de référence donc les heures de marée indiquées ci-dessous sont les heures de marée de St-Malo. 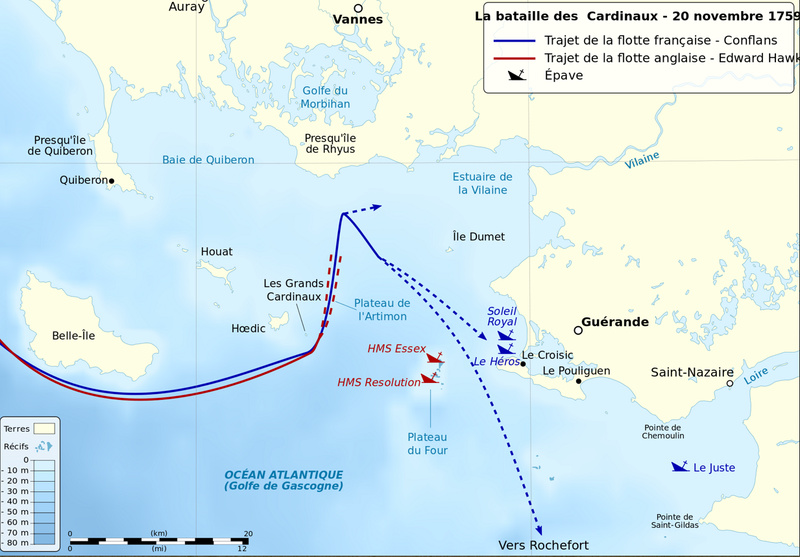 Nous embarquons à la Cale d’Hacqueville à Granville le mardi 23 août, à 13h30, 2 heures après la pleine mer. Météo France prévoit Beaufort 5 mais Magic Seaweed (Magic Seaweed) donne Beaufort 4 faiblissant 3 puis 2 de même que YR, site norvégien (Site Meteo Norwegian). Arrivés à la cale nous vérifions l’état de la mer et mesurons le vent. 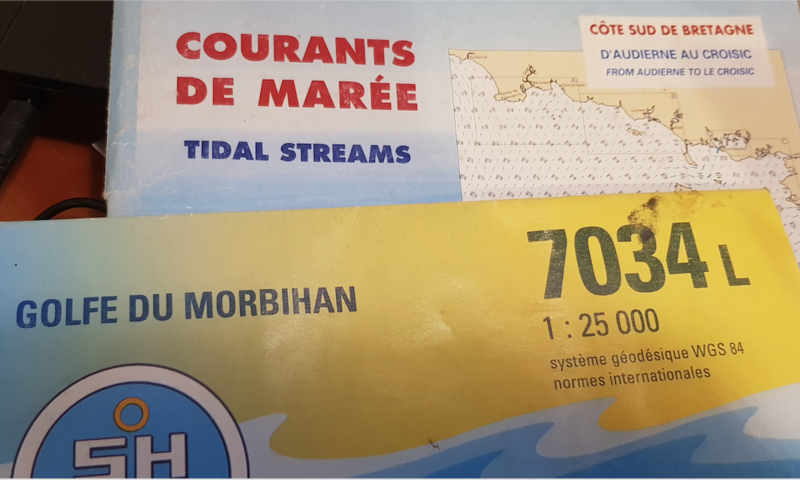 L’anémomètre indique un vent de sud-ouest à 14 noeuds et dans la baie on peut estimer l’état de la mer à 2. 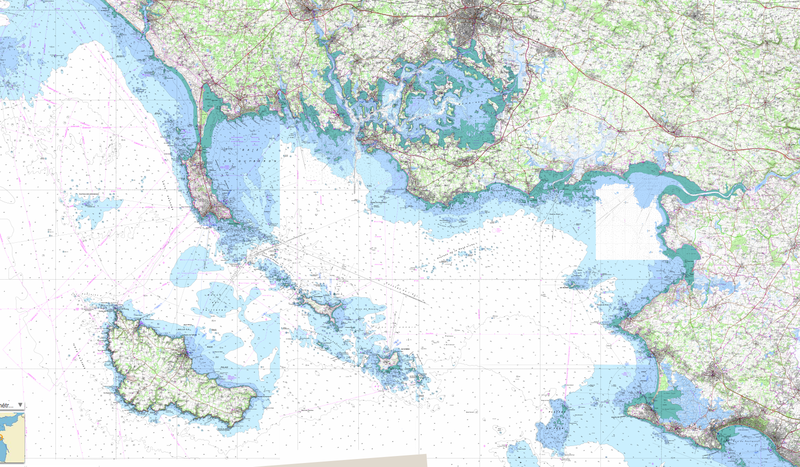 (Sea States) ,cependant cette eau agitée est générée par les hauts-fonds qui entourent la baie et le port et on voyait qu’elle était plus calme là où il y avait plus de fond. On decide donc de partir. On a fait la traversée de 17 km en 2h20, traversée confortable et tranquille. 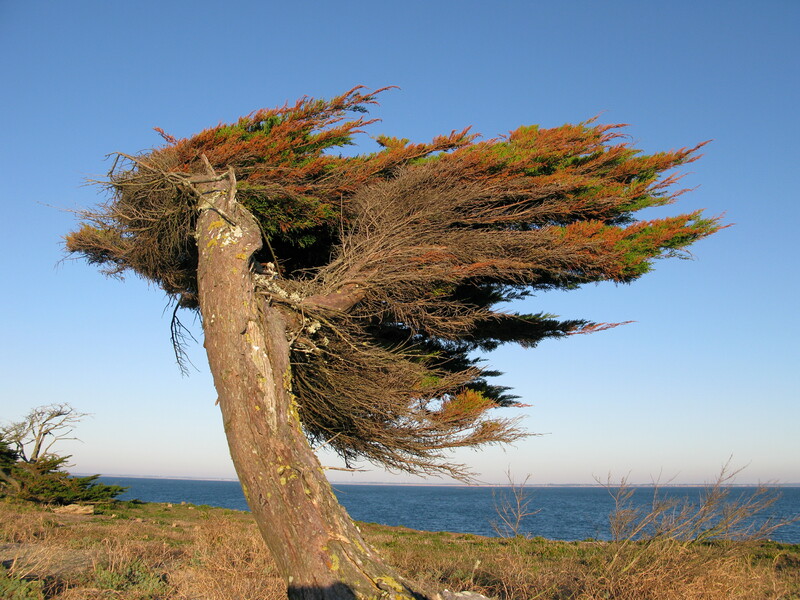 A mi-chemin le vent était tombé et à peine perceptible et on a bénéficié de l’aide du courant. 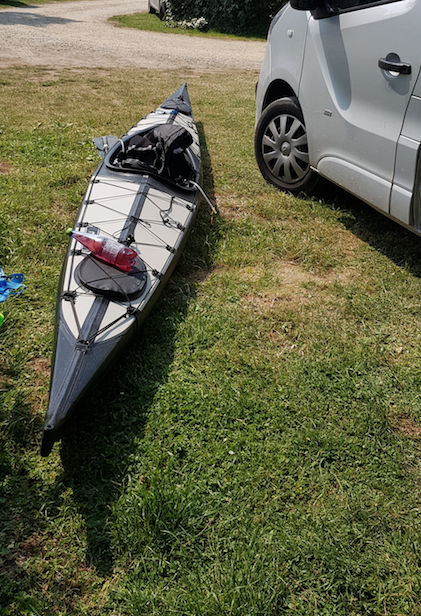 On a débarqué sur Aneret à 15h55 et avons rencontré 4 kayakistes, Florence, Alain, Bertrand et Pascal, qui avaient fait la traversée la veille depuis Donville-les-Bains. Comme il était tôt, nous sommes allés sur Grande Ile prendre un verre au bar de la Sirène. Il y avait beaucoup de touristes en attente de leur ferry pour rentrer à Granville. Il faisait très chaud, Météo France avait raison à propos de la canicule. Après avoir dîné sur la cale nous sommes retournés à Aneret pour y passer la nuit, nous avons monté les bateaux tout en haut de la plage. Aneret a perdu beaucoup de sable ces dernières années et l’érosion est visible. Avec un coefficient de 89 il ne reste pas beaucoup de place à marée haute. Nous avons pris un verre avec le groupe de 4 kayakistes rencontrés plus tôt, avons parlé de nos randonnées et expériences respectives. Nous partageons le même goût des traversées vers les îles, vivre dehors dans un bel environnement. On gardait un œil sur la marée pour être sûrs de pouvoir rejoindre notre bivouac à pieds secs. On s’est endormi sous un superbe ciel étoilé mais dans la nuit la clarté de la lune a atténué la lumières des étoiles. Au réveil, après le petit déjeuner nous avons chargé les bateaux, les avons portés à l’eau et après avoir souhaité une bonne traversée à Florence, Alain, Bertrand et Pascal, nous avons embarqué à 9h, soit 3h avant la marée haute. Très bonnes conditions, des pointes à 12km/h avec les courants, nous avons effectué la traversée retour en 2h20mn. Un peu de surf à l’arrivée mais rien de méchant, pas beaucoup de monde, nous avons tout rangé et chargé les bateaux en moins d’une heure. 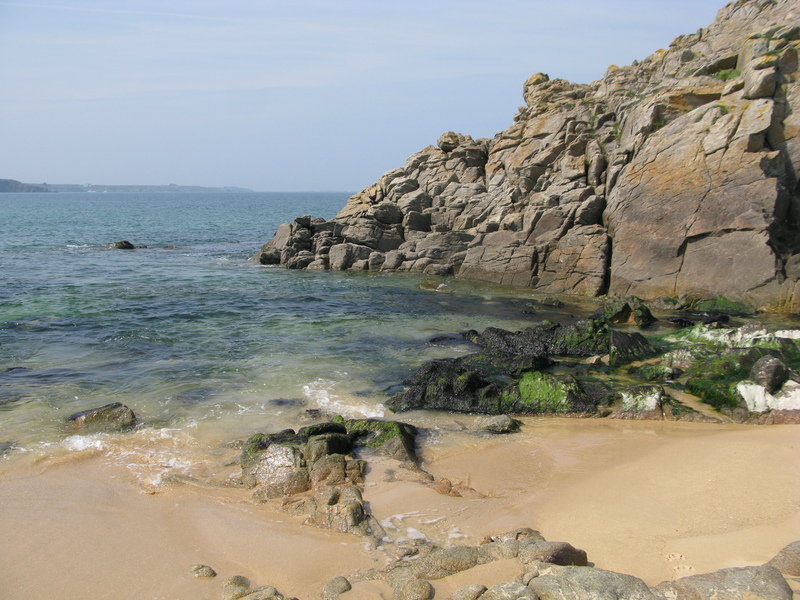 On n’était pas retourné à Chausey depuis plusieurs années, ça a été une balade très agréable et on a été très heureux d’y être retournés. 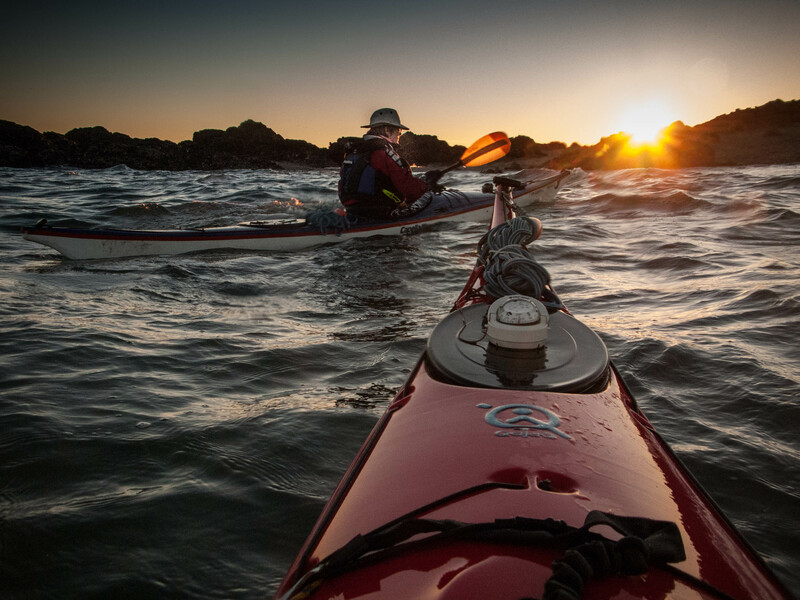 The chart section above covers the Bay of Quiberon, it is without doubt one of the best places in Europe to paddle. The islands demand a visit, and without doubt will remain an unforgettable experience. At this time of year they are at their best, it’s far too early for the tourists. 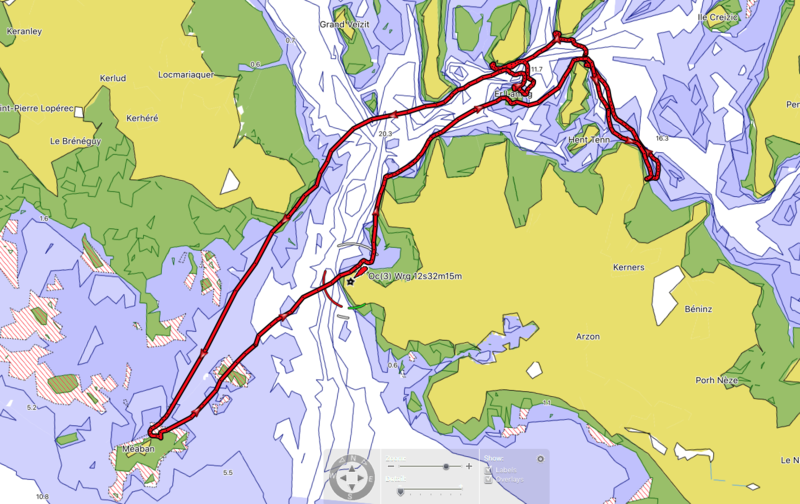 This was a rather hastily prepared trip, actually decided on the night before …. all the camping kit was back stored in the house 3 hrs away. 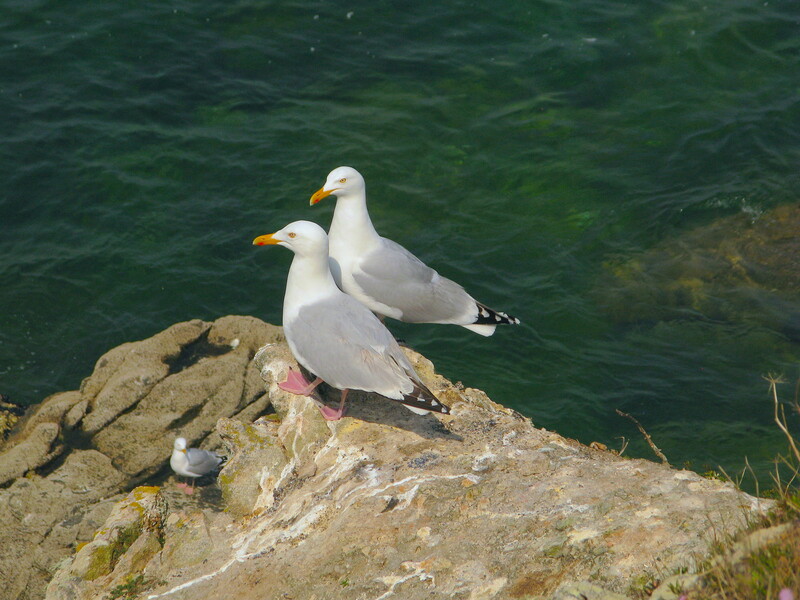 Houat is however close enough to consider as a day trip from either Pointe de Conguel or from Point St Gildas. A little to the west of St-Gildas is the small fishing harbour Port des Moines, it’s ideally located for setting off to Houat. There are two slips although a little steep, and good parking at the top. Last month I sold the Vito and bought myself a Transit. The major difference was the height. 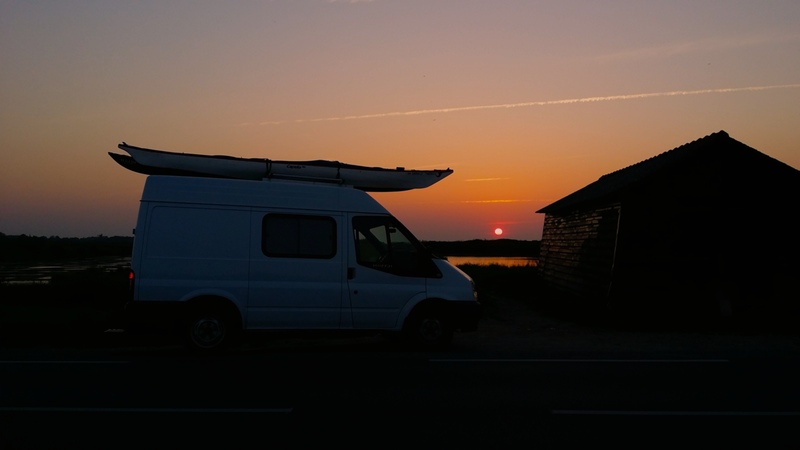 The Vito with kayaks on the roof was a centimetre under 2.4 M.
The Transit with its medium roof starts at 2.4 M and with the kayaks on now is just under 3M. I had to extend the handle of the karitek rack, but once done I can now load single handed. The rack must be 10 years old now, but still in service and working well. However this new height places me firmly in camper van territory, which is not all good news. 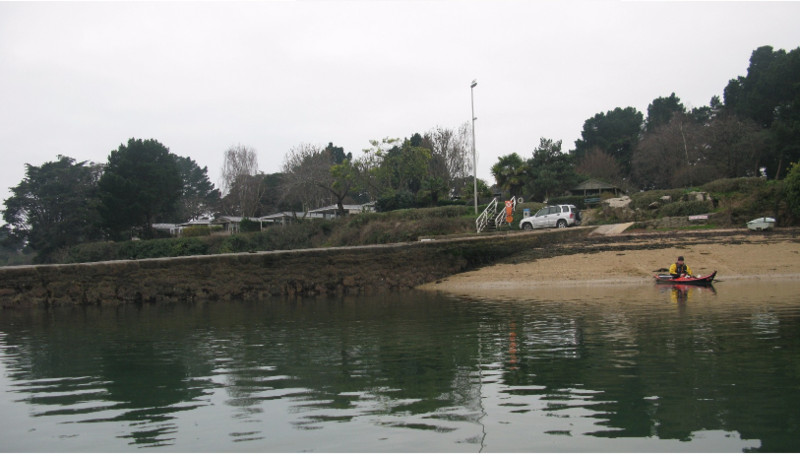 This particular part of the edpartment has strict views about campers and over the last few years on the Sarzeau peninsula it has become increasingly difficult to park near to a beach or other launch point It is now becoming increasingly common to come across these types of height restrictions. It is rare to have these height restrictions at the Ports and Harbours because of the obvious commercial activity involving higher vehicles. 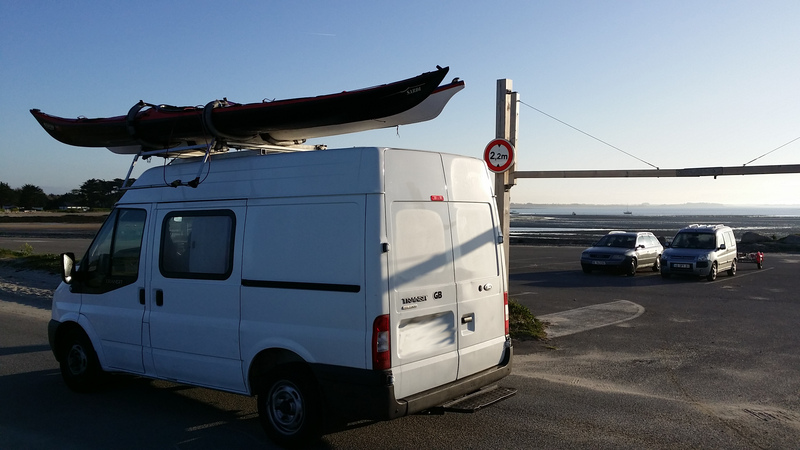 There were signs excluding campervans from the Port but no height restriction. 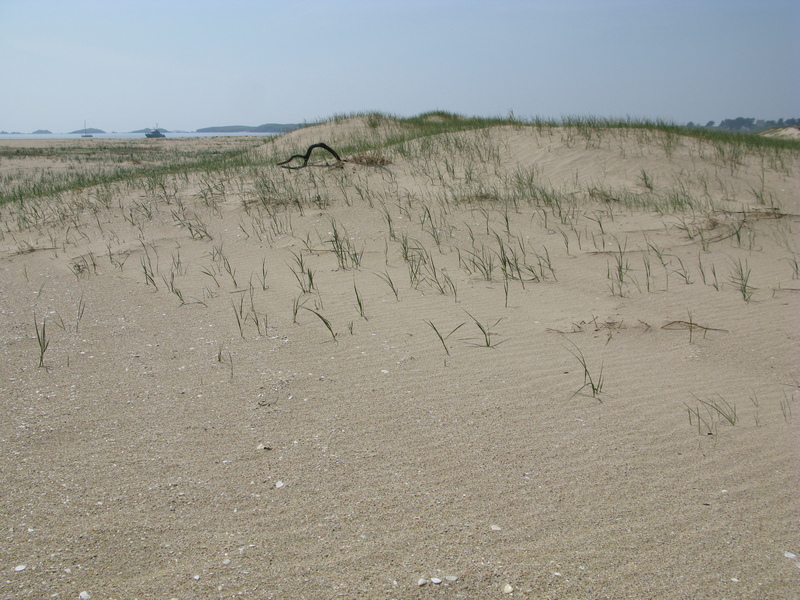 The enormous beach was deserted, but further into the summer it will be much different, without doubt early spring is the best time to visit. There is plenty of evidence of just how much damage has been done …. Here you can see pickets suspended from their wire in free air, they earlier marked the boundary of the protected zone. 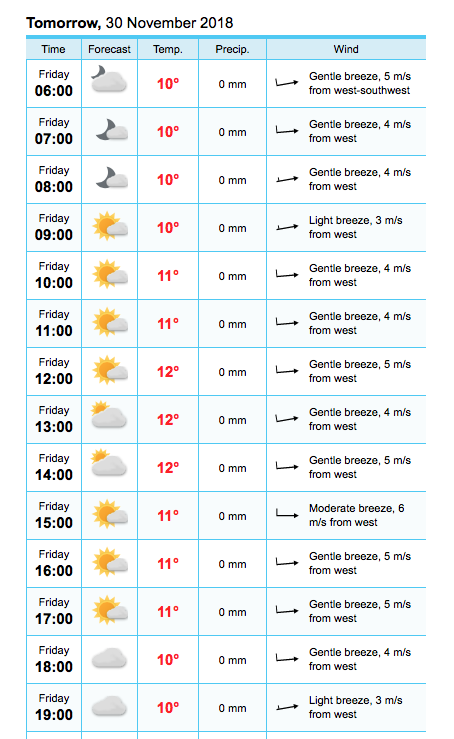 Always plenty to see here …. Finally, back on the mainland we were treated to a rather splendid sunset. Despite the heavy frosts, the last few days has seen the sun warm up the air to close on two figures making an afternoon trip particularly appealing. 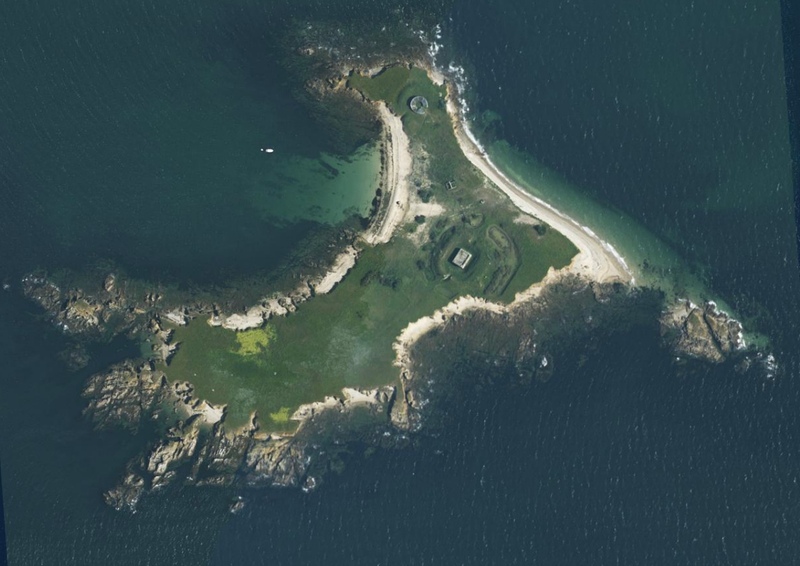 Ile Dumet lies in the Bay of Quiberon some 4 miles off the French mainland. The larger square fort was built in the style of military engineer Sébastien Vauban in 1845. 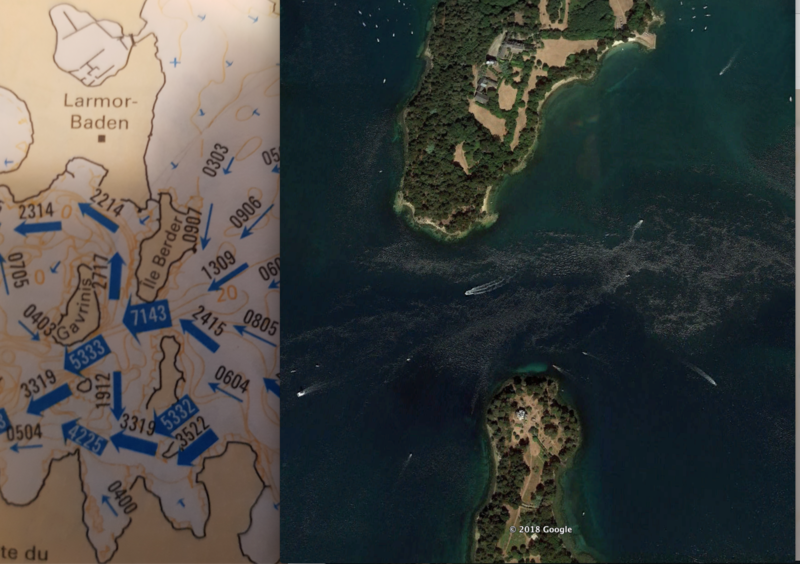 Dumet’s history and the presence of two forts shows its strategic importance, serving as both protection and early warning for entry to the river Vilaine as well as the French coast. 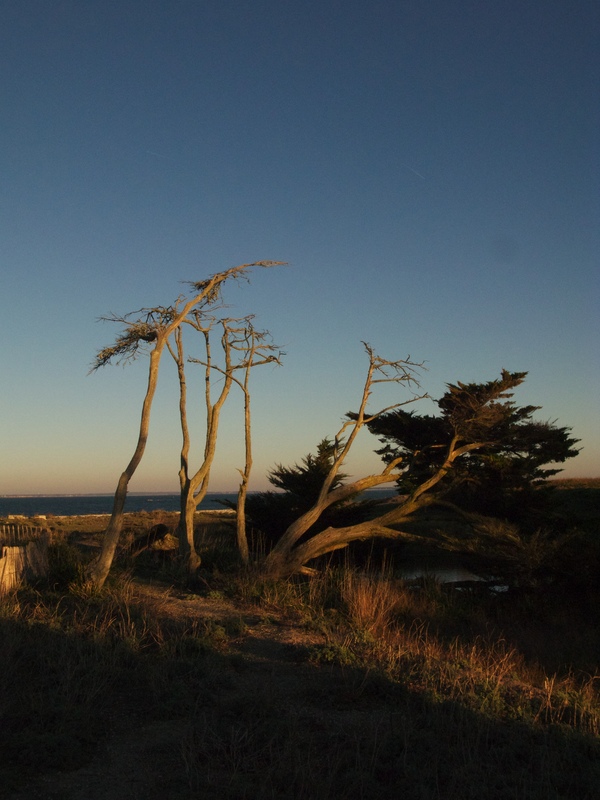 The trees found on the island are quite recent, however they are not doing well on this rather exposed island. Introduced in the early 1950s by Henri Dresch the owner of the island at that time. They have developed into some quite distinctive shapes sculpted by the weather. Dumet has seen many such battles and during its history has been occupied by the Saxons and Vikings as well as the English and the Spanish. With the sun going down, it was time to return to the mainland. 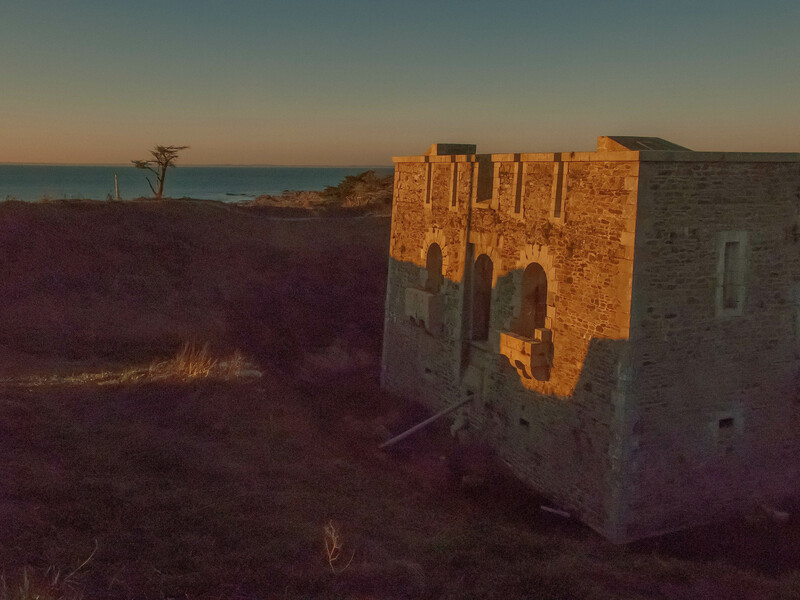 The setting sun produced a wonderful golden glow on our return to Piriac, another very enjoyable trip. 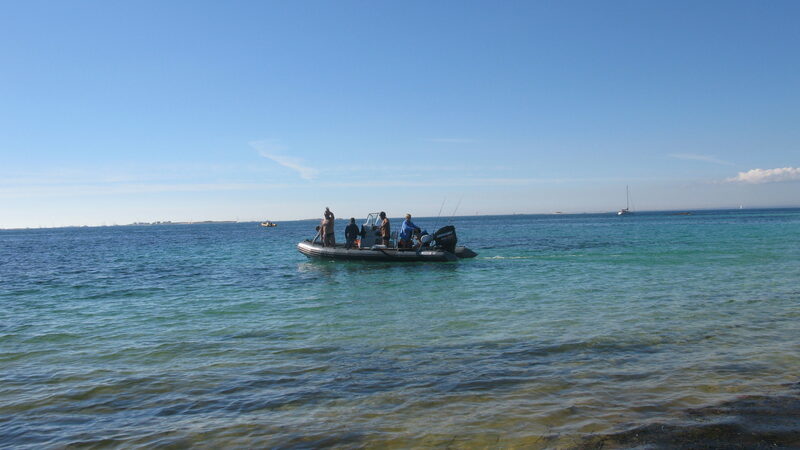 Any person travelling on water has the right to land a boat on a beach in an uncultivated area for a short period of time. 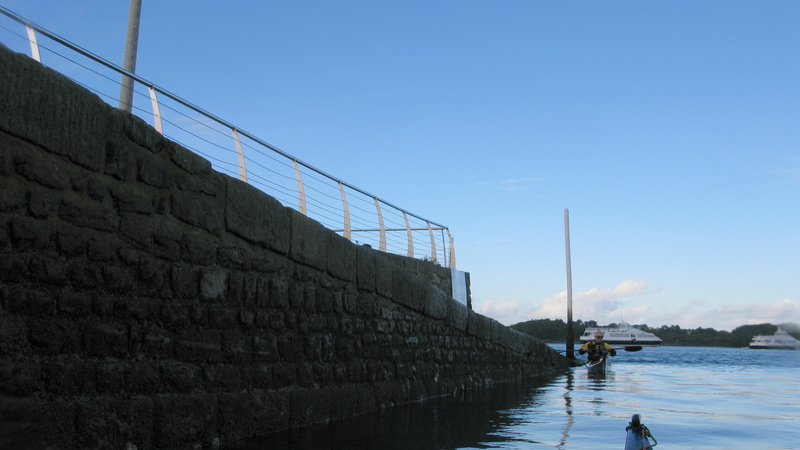 It is not permitted to make use of a quay or jetty without the owner’s or user’s permission. Other mooring devices (rings, bolts, etc.) in uncultivated areas may not be used if this has been prohibited by the owner or user. 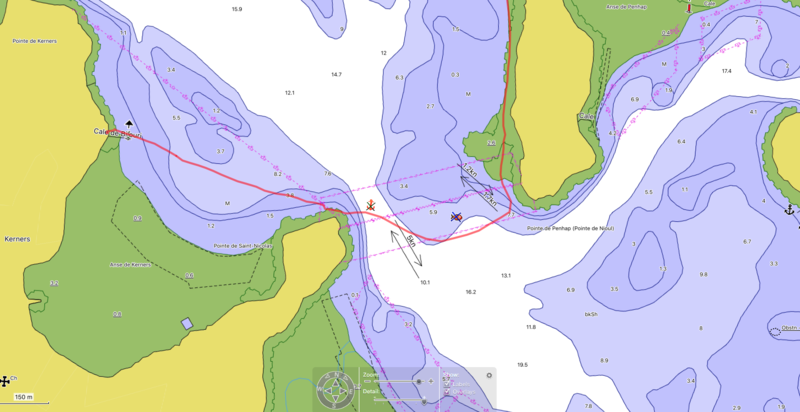 The owner or user may nevertheless not oppose the use of such mooring devices for a short period of time if this can take place without unduly hindering the owner or user. In uncultivated areas, it is not permitted to use sites for purposes such as mentioned in the preceding paragraph if this unduly hinders or inconveniences others. Picnicking and camping must not take place if this may cause significant damage to young forest or to regenerating forest. A tent must not be pitched so close to an inhabited house (cabin) that it disturbs the occupants, and in any case no closer than 150 metres. 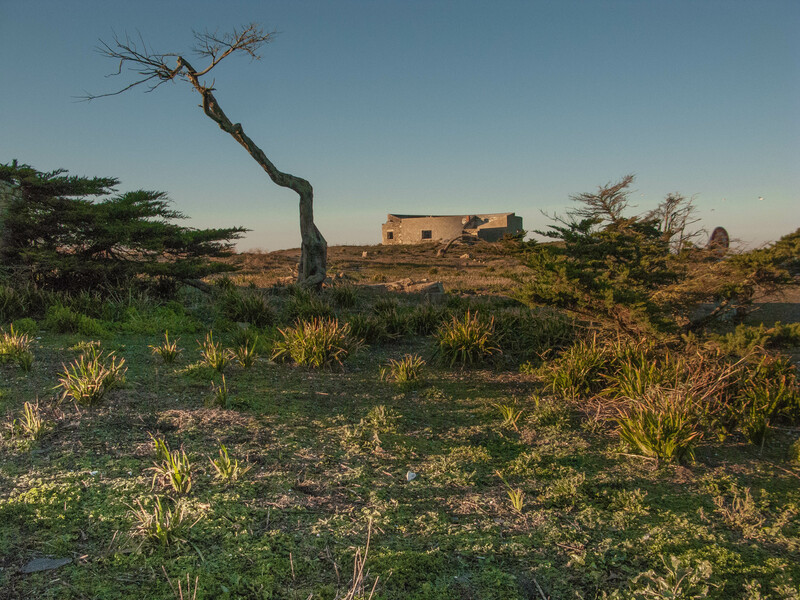 However, the rules on the distance from habitation do not apply in an area that has been specifically designated for camping. Camping or another form of stay is not permitted for more than two days at a time without the permission of the owner or user. Permission for a longer stay is nevertheless not required in mountain areas or in areas distant from habitation, unless it must be expected that the stay may cause significant damage or inconvenience. Immediately before and during the hunting season for wild reindeer, the Ministry may prohibit or regulate camping that may cause inconvenience for such hunting. Camping and other forms of access must take place at the person’s own risk as regards damage that animals may cause to persons, tents or other property. Without doubt, there is great willingness to help in Norway, people are friendly and make it easy to ask. 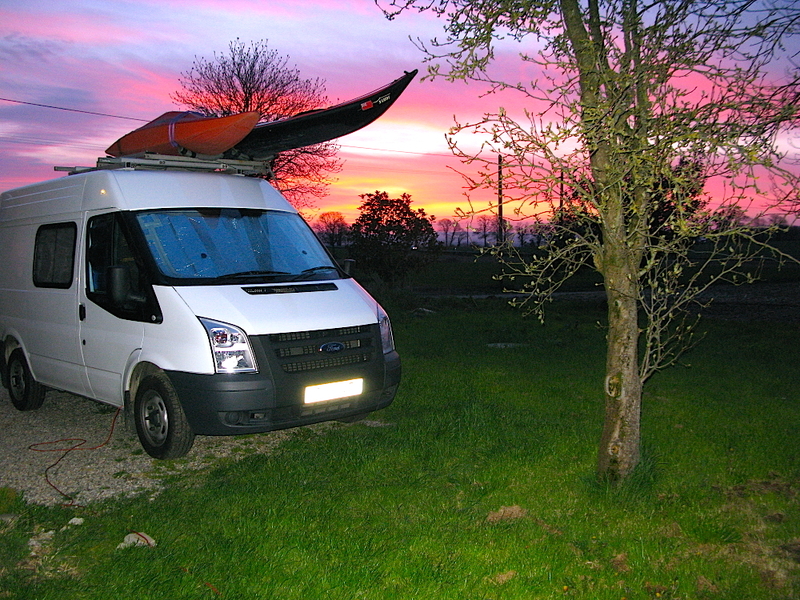 If you are asking for permission to park or to camp, if they cannot give you permission they will always give you an alternative, which is likely to be better.